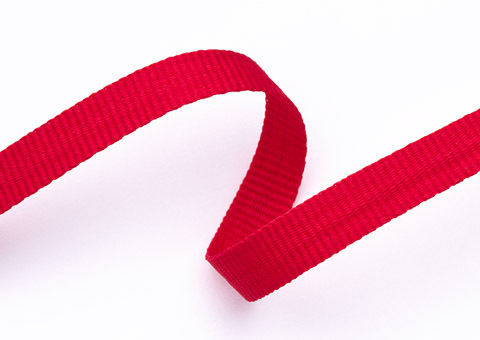 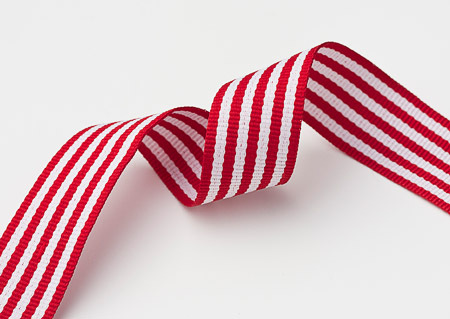 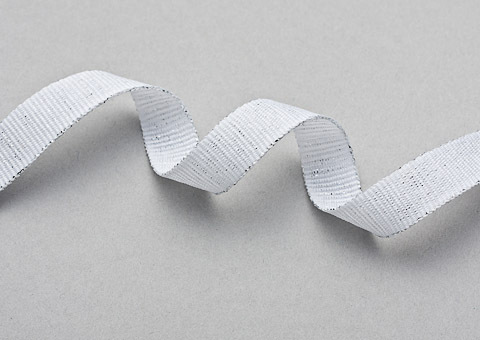 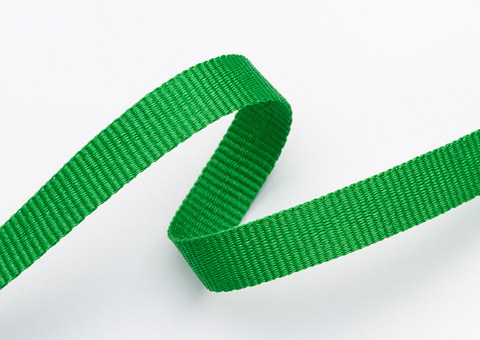 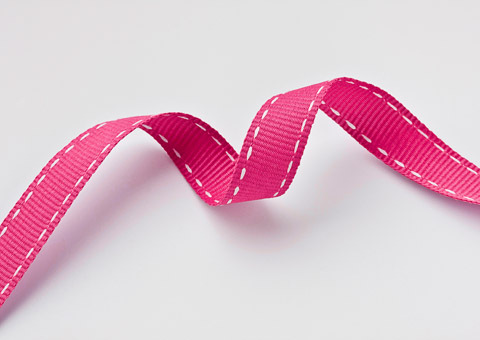 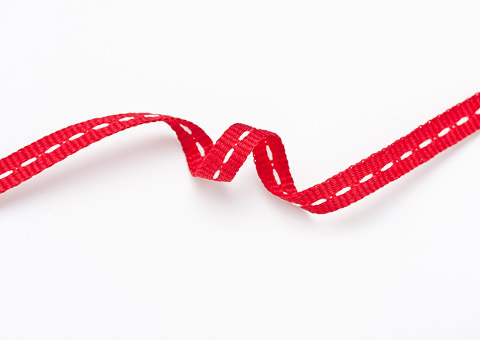 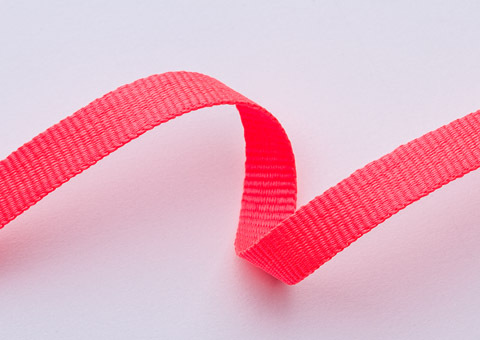 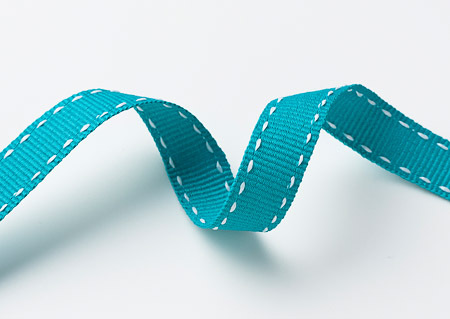 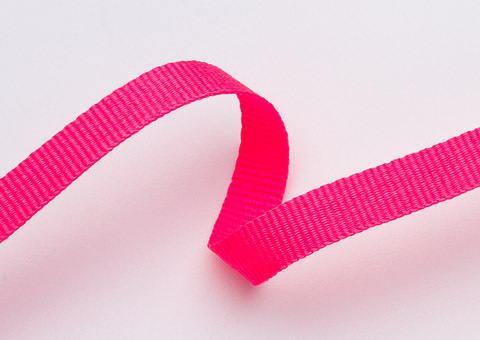 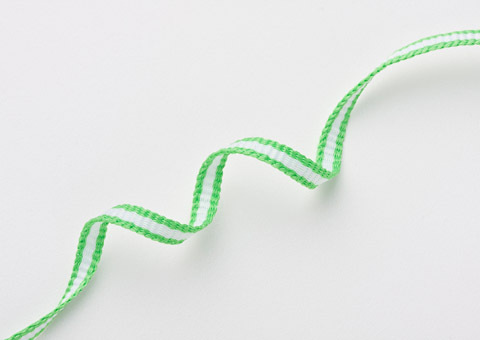 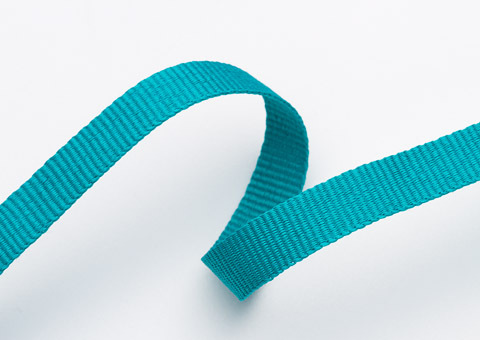 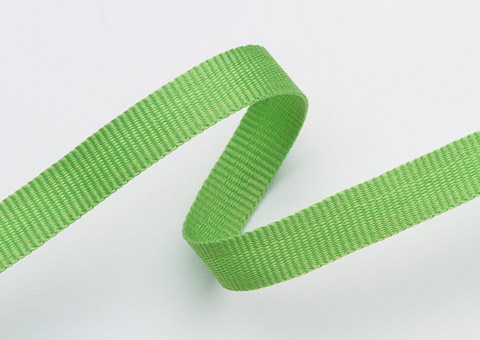 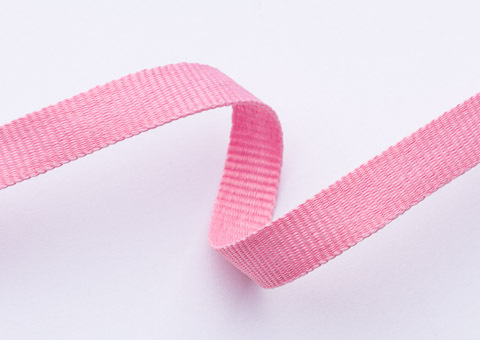 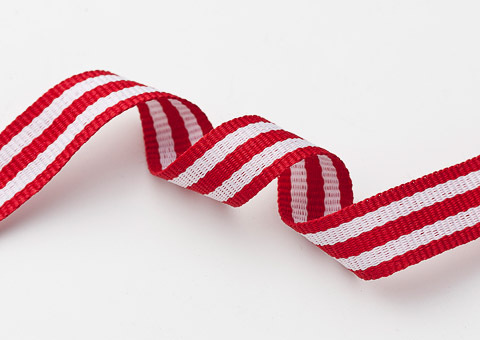 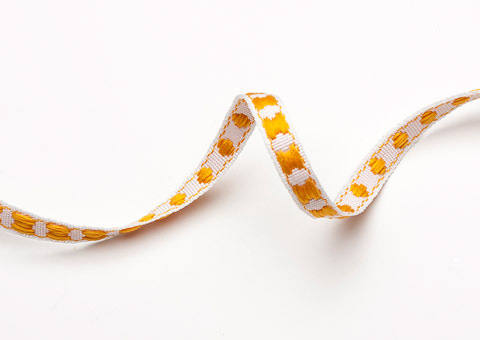 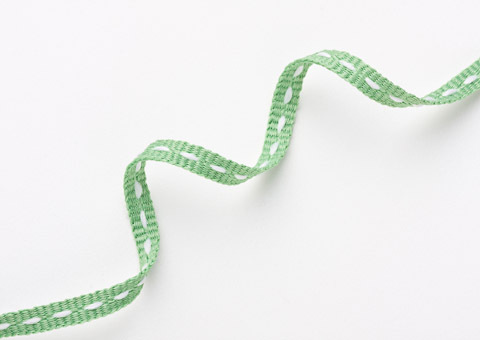 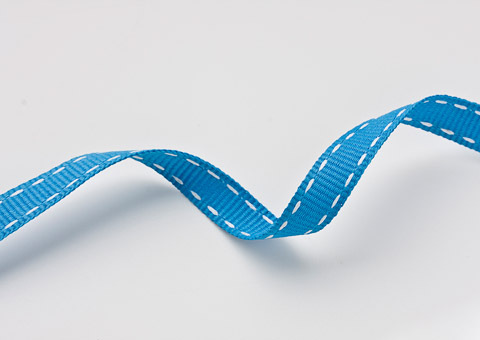 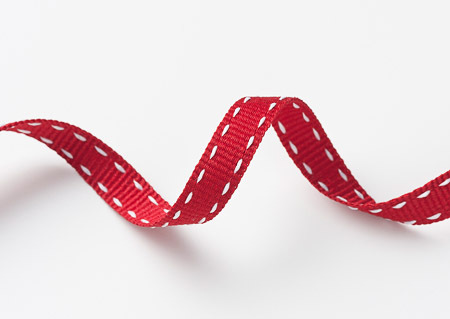 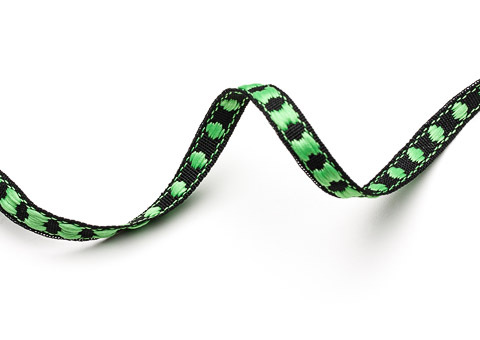 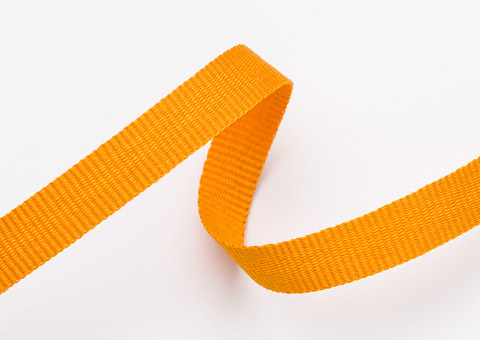 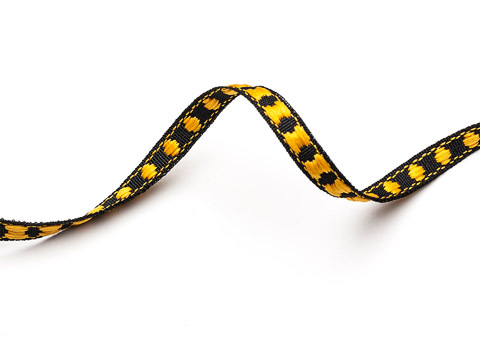 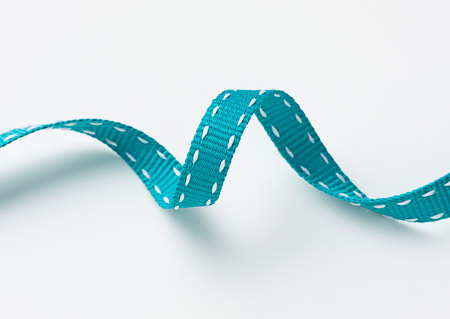 Our range of Tapes and Ribbons are available in widths varying from 3mm, 6mm, 15mm and 25mm, they are also available in prepacked lengths of 5 meters or on bulk rolls for retailers. 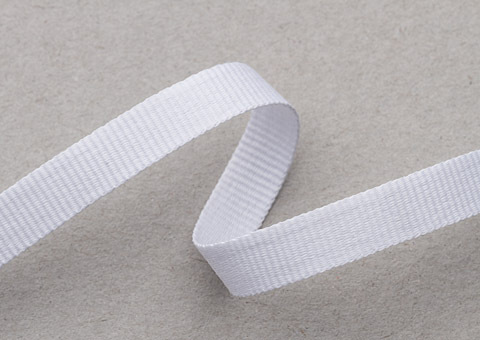 In addition to the above we have plain cotton tape in varying widths. 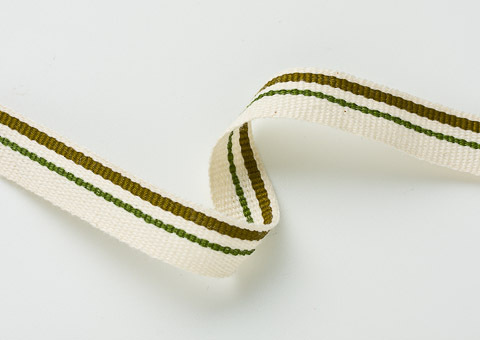 The Petersham with Centre Stitch Range of Tapes comes in 4 mm(Art 1129) and 6mm width and is made from Polyester. 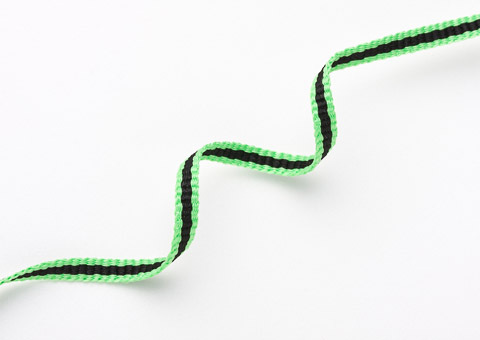 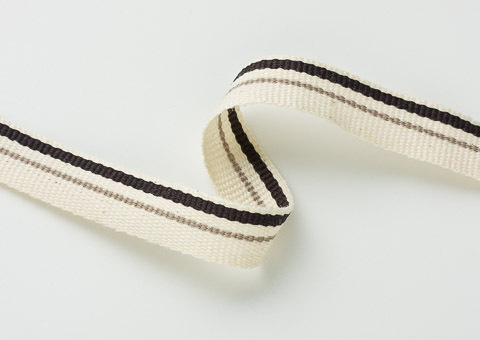 The Petersham with Side Stitch Range of Tapes comes in 10mm and 15mm widths and is made from Polyester. 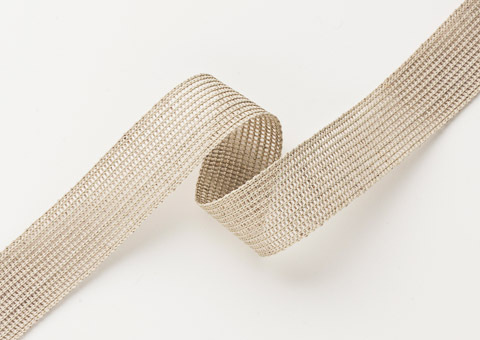 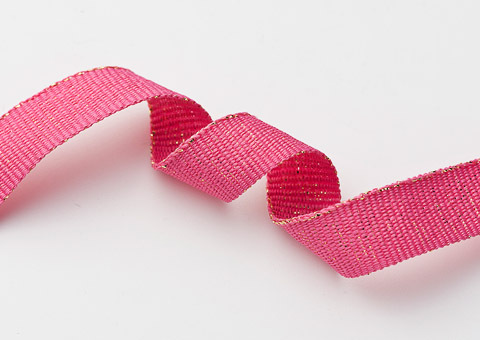 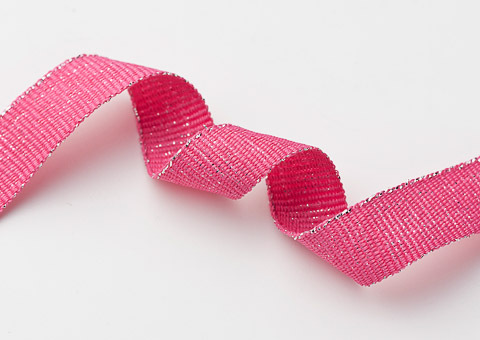 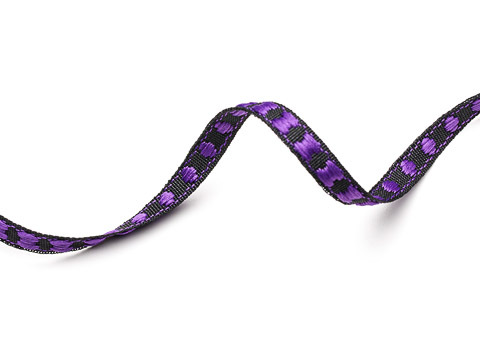 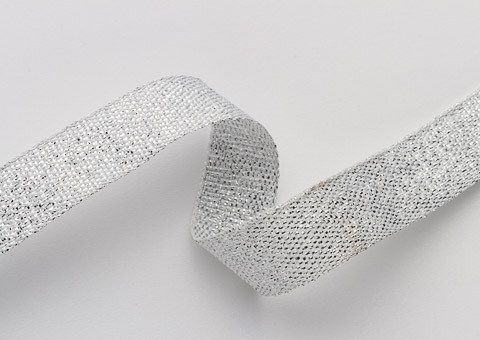 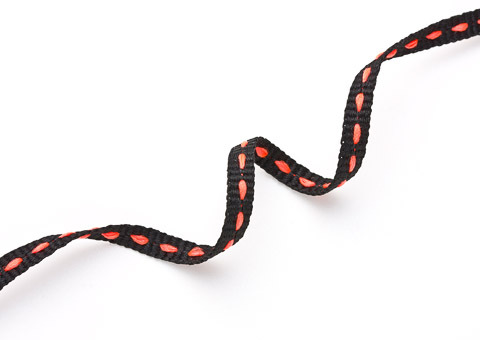 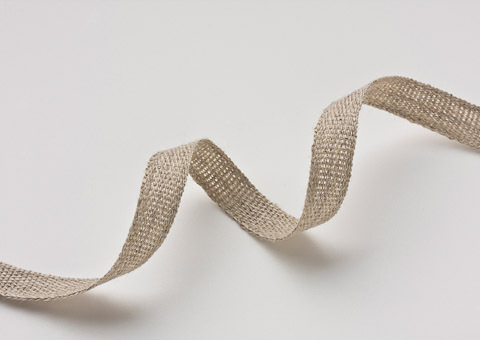 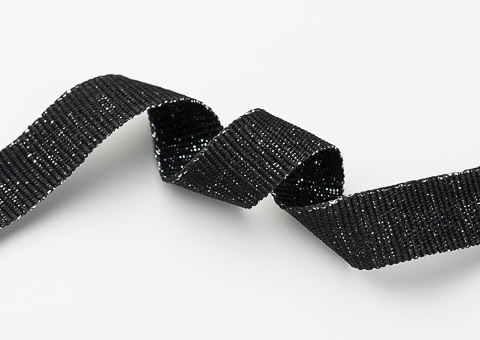 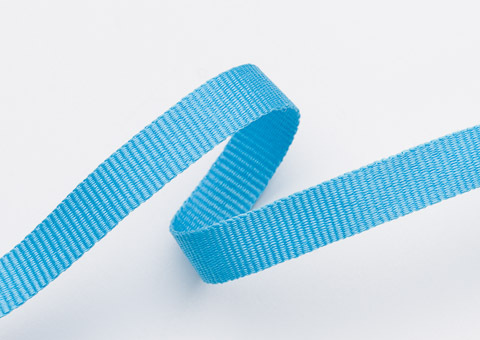 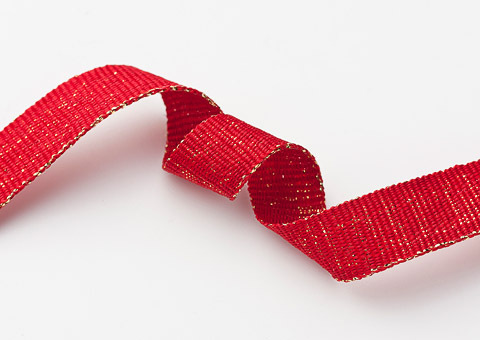 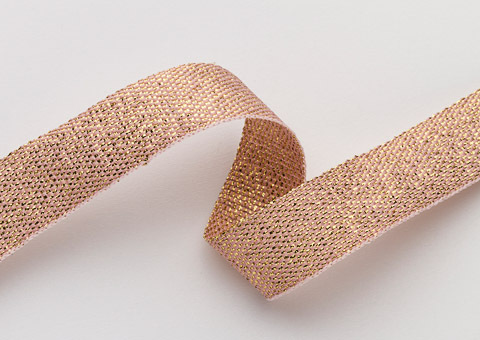 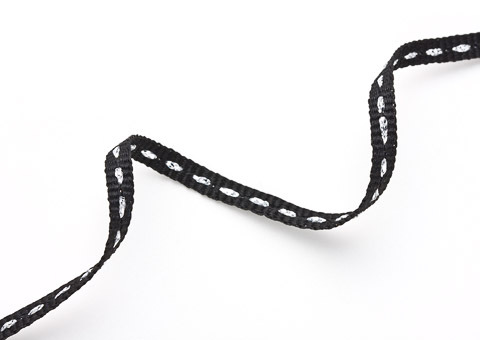 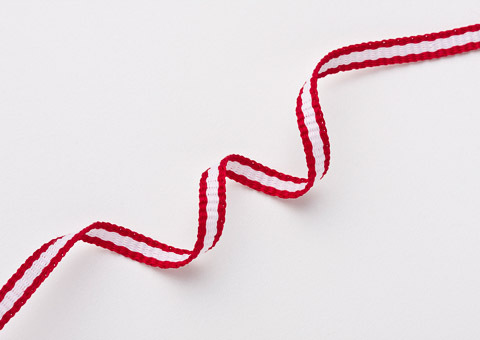 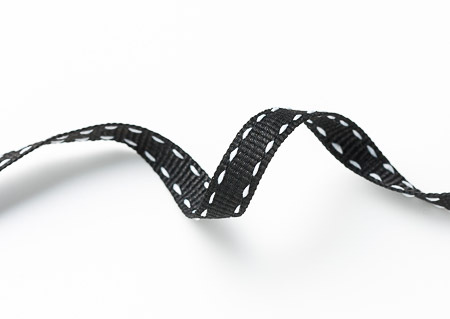 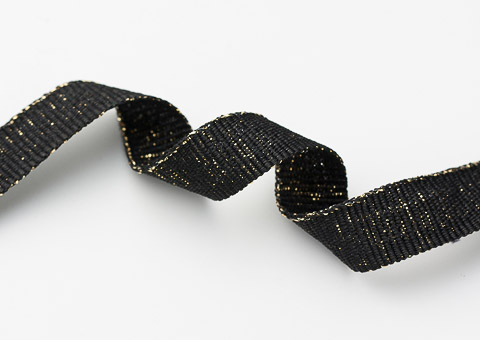 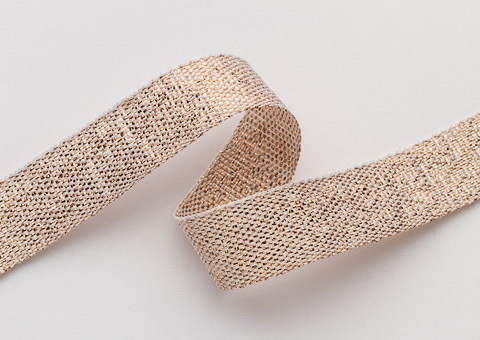 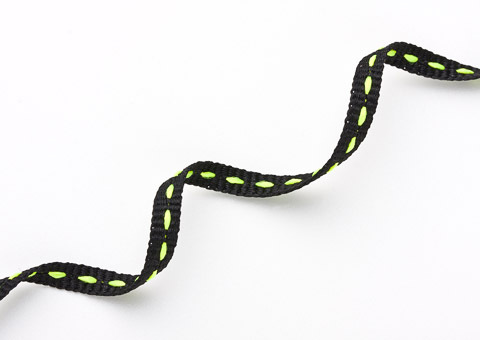 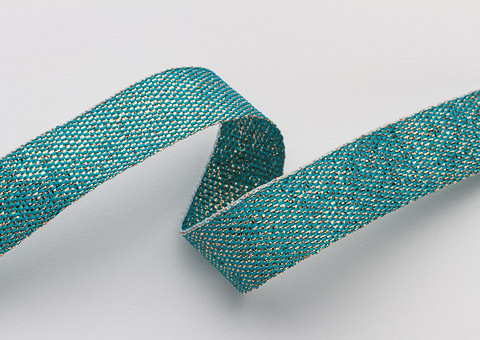 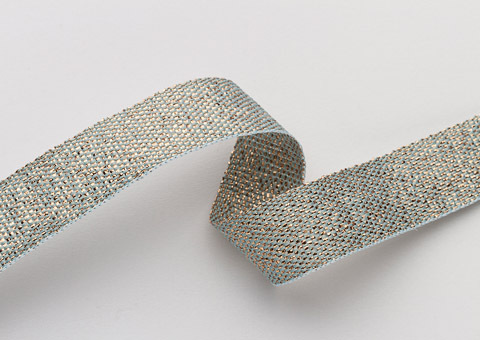 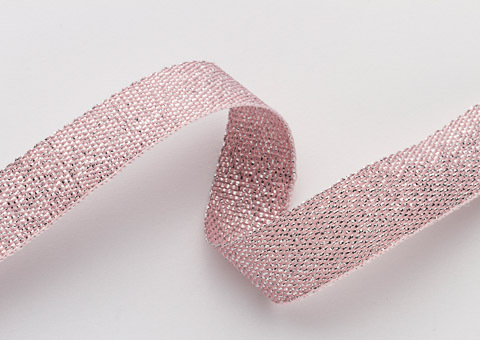 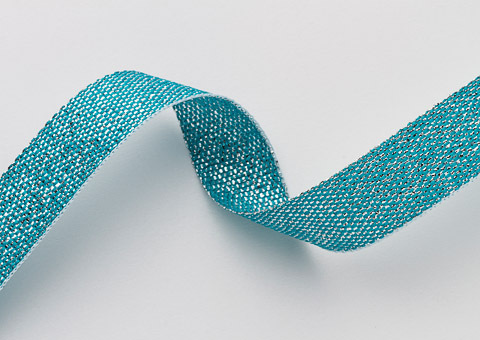 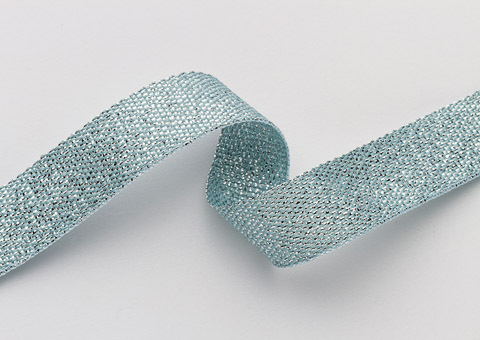 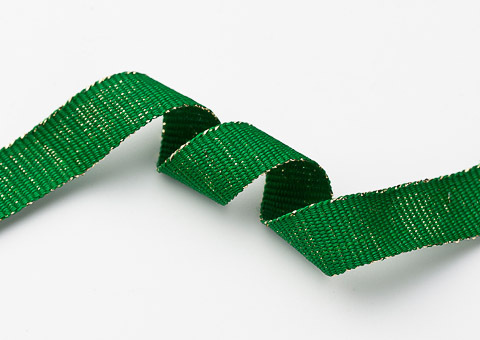 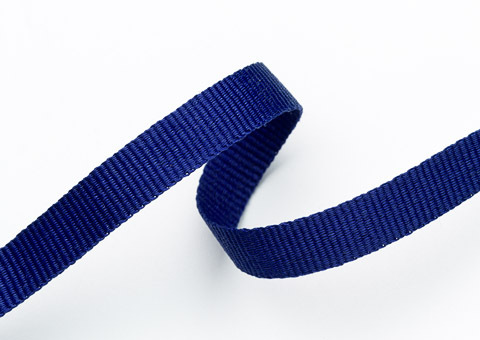 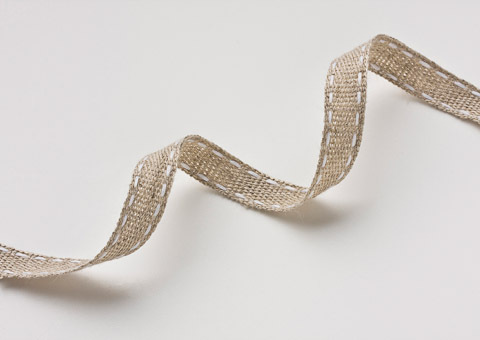 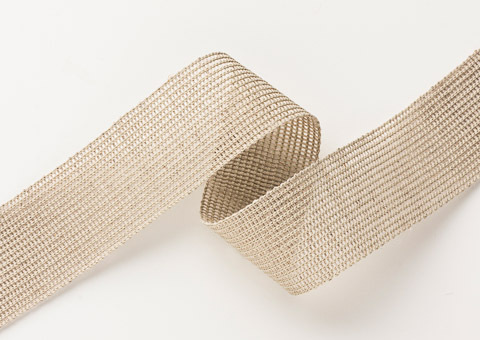 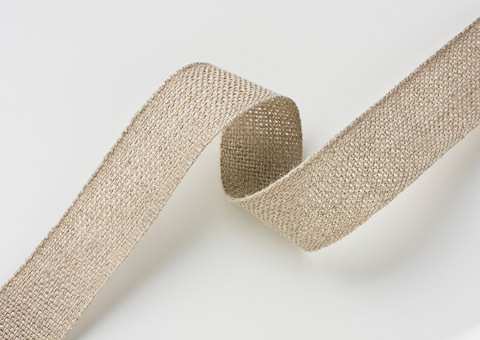 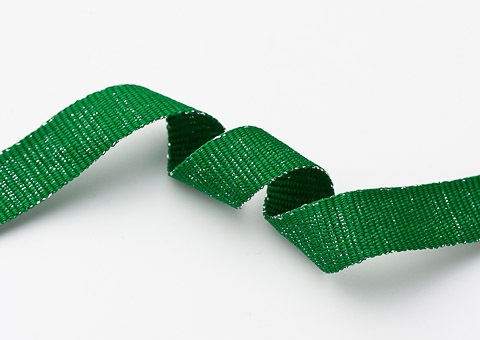 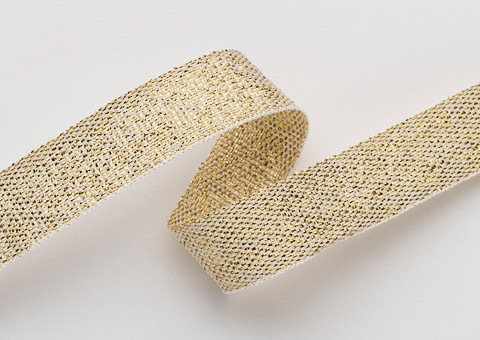 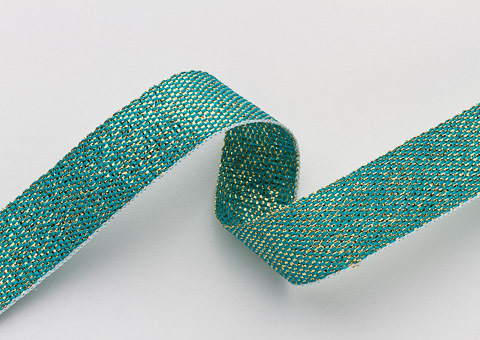 The Lurex Tape Range comes in 3mm, 6mm 15mm and 25mm widths and is made from Polyester and Silver or Gold Lurex. 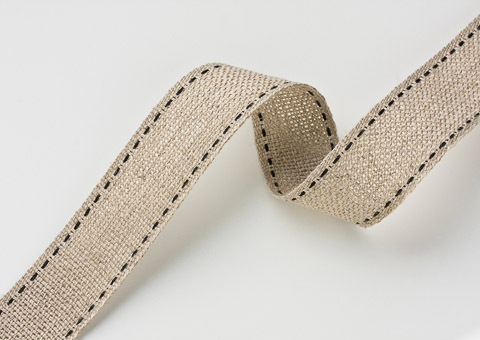 Our latest addition is the Crochet Linen Range of Tapes which comes in 15, 20 and 25mm widths as well as a 30mm and 40mm side cut Tape. 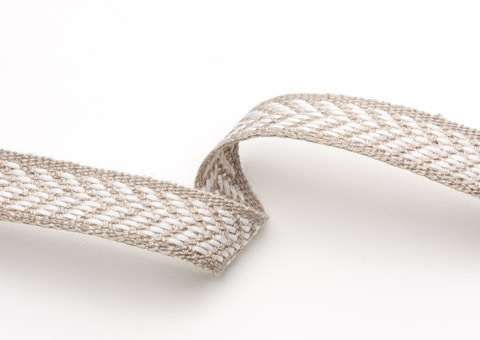 They are made from Natural Linen with Polyester colour side stitches where applicable. 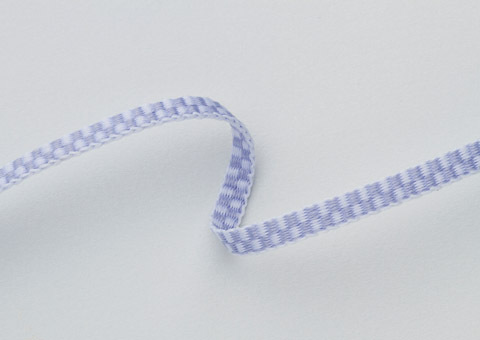 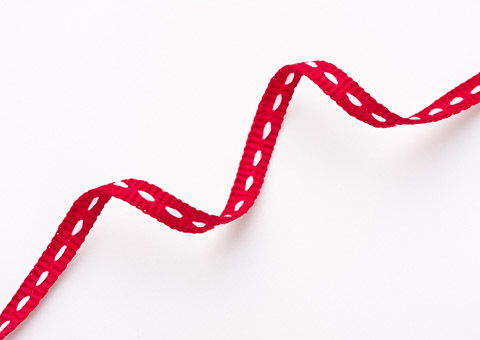 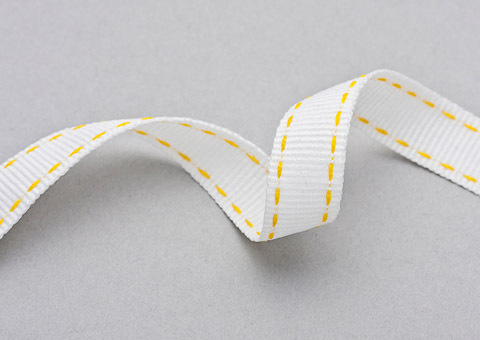 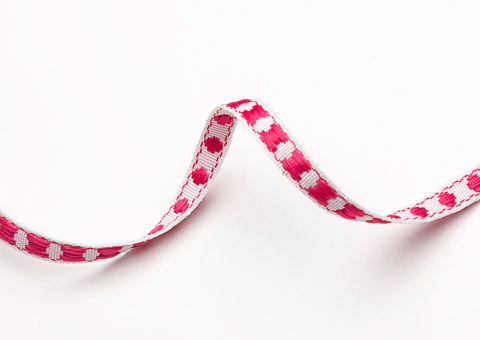 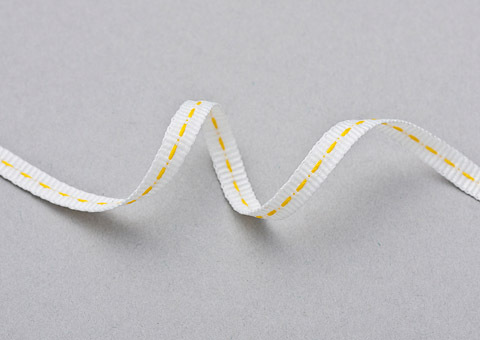 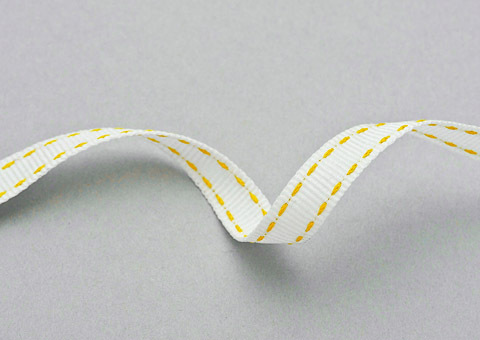 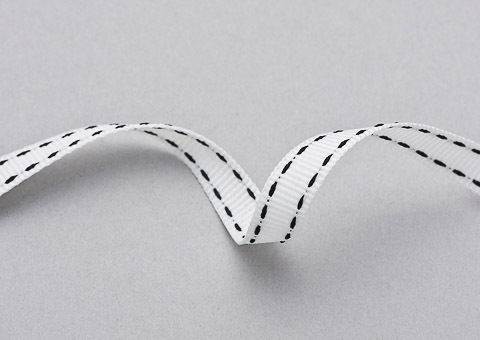 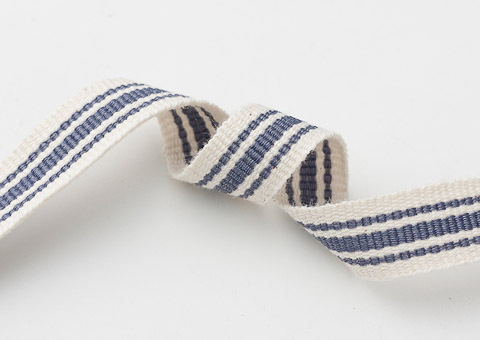 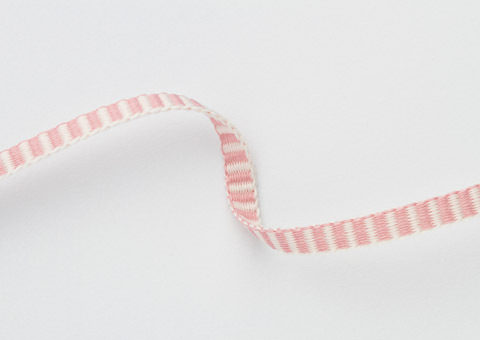 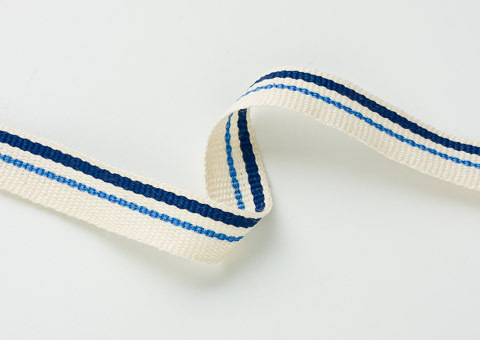 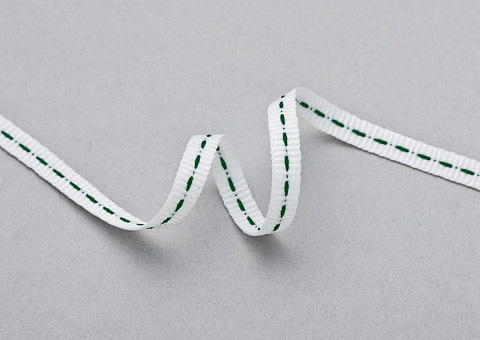 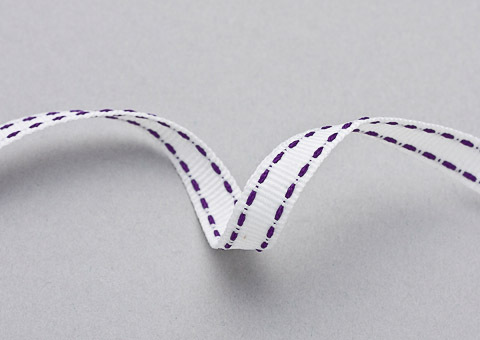 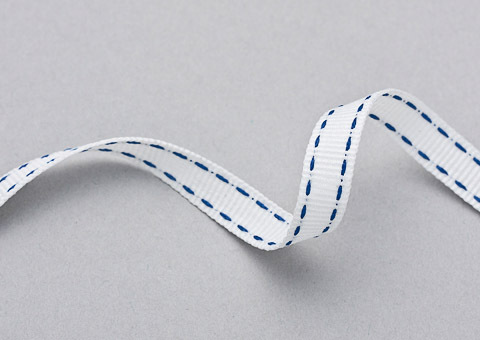 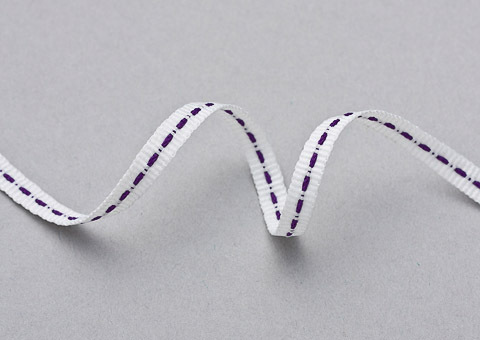 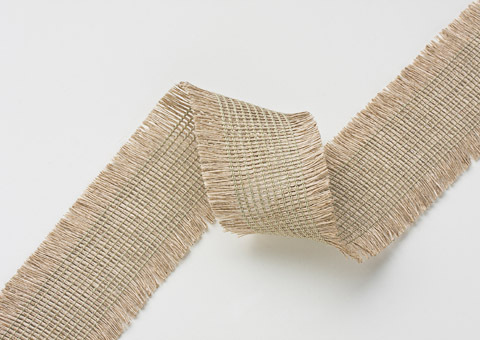 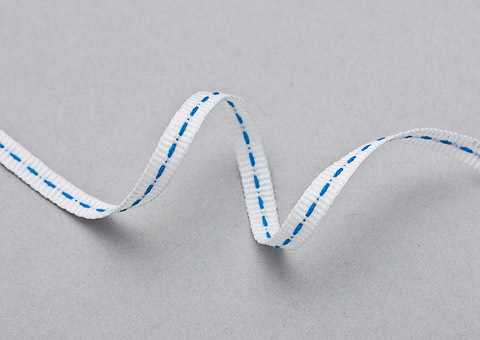 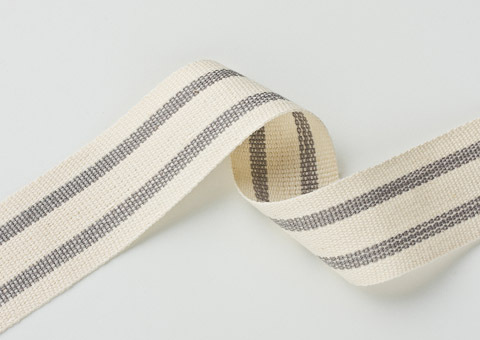 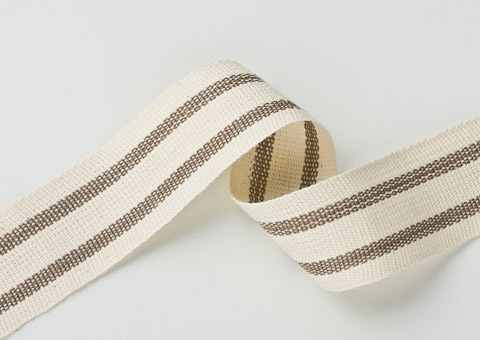 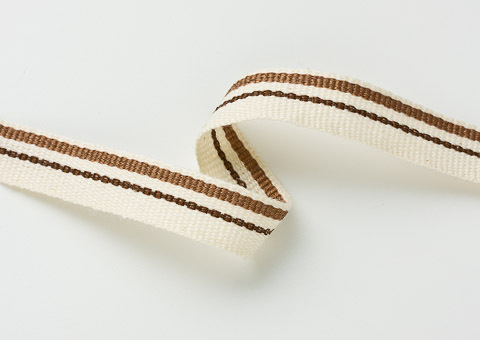 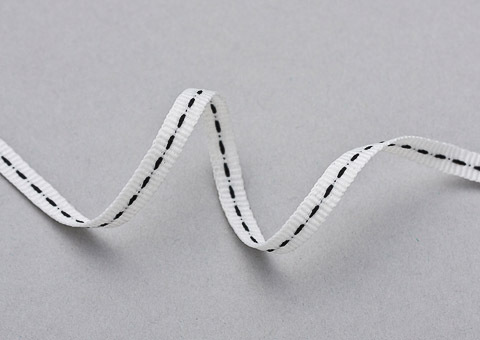 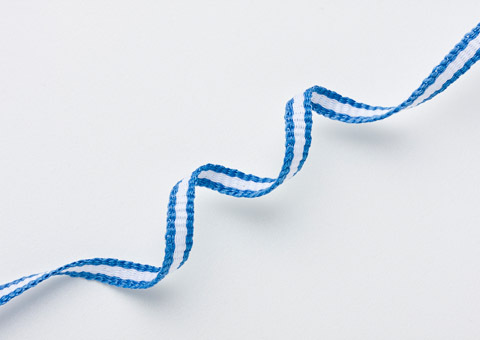 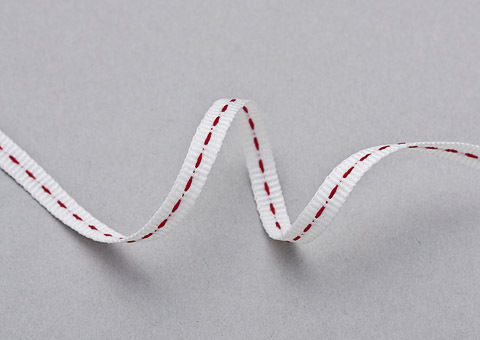 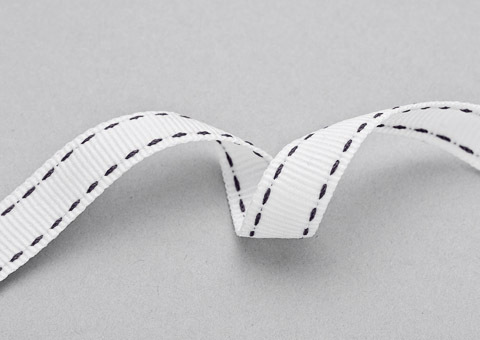 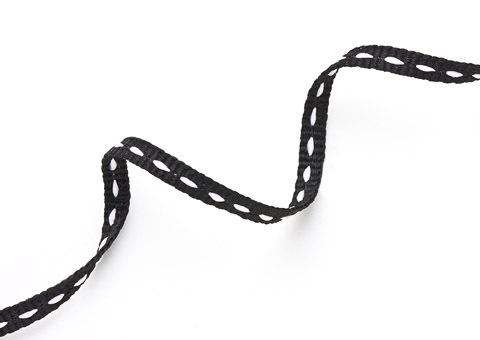 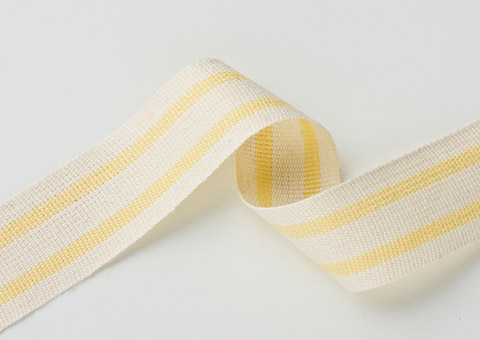 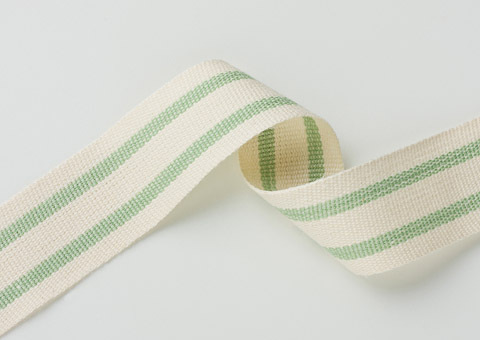 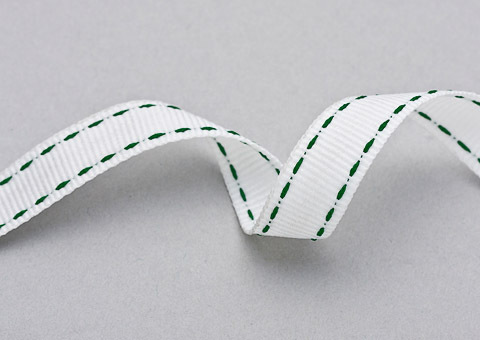 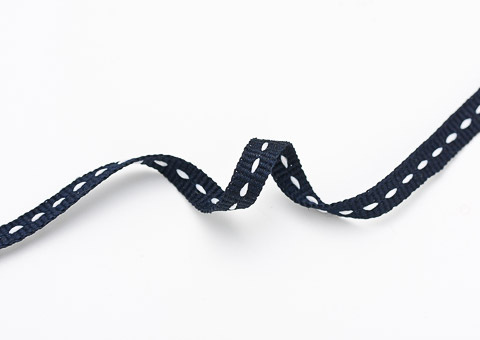 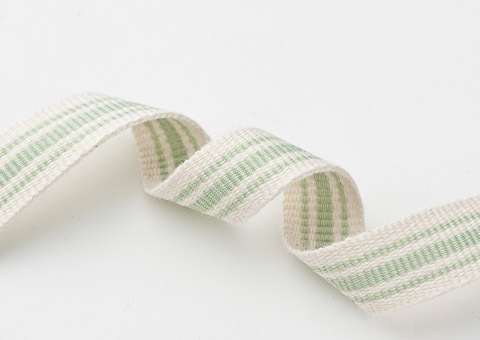 This Linen Tape comes in a 15mm width. 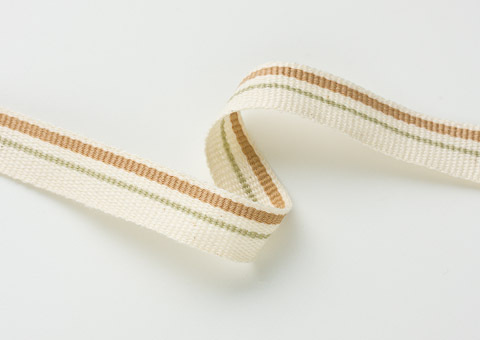 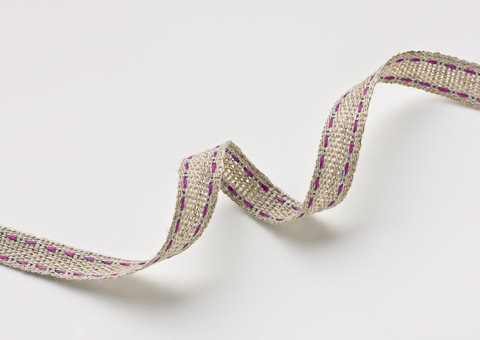 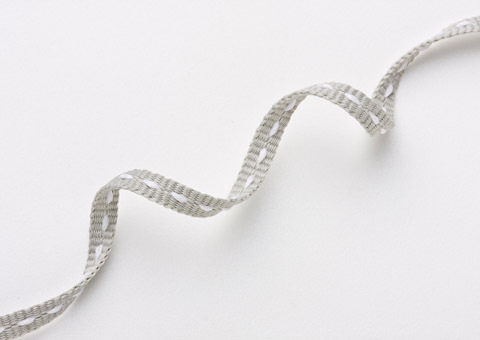 These Tapes are made from Natural Linen with Polyester chevron insert. 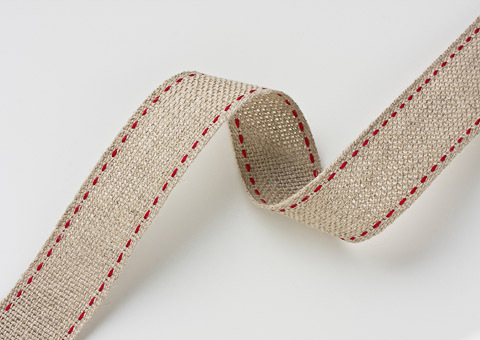 Our latest addition in the Linen Range of Tapes which comes in a 15mm width. 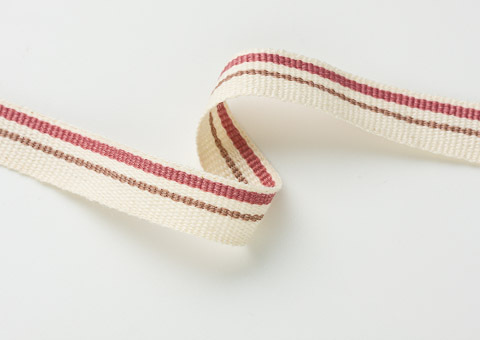 These Tapes are made from Natural Linen with subtle Polyester coloured edges. 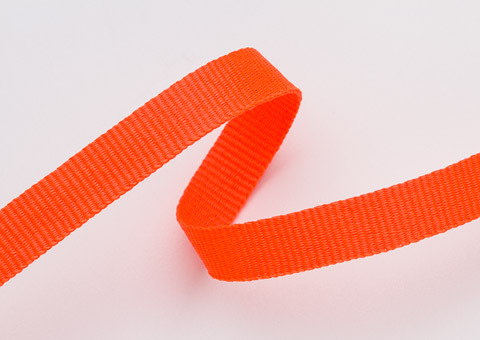 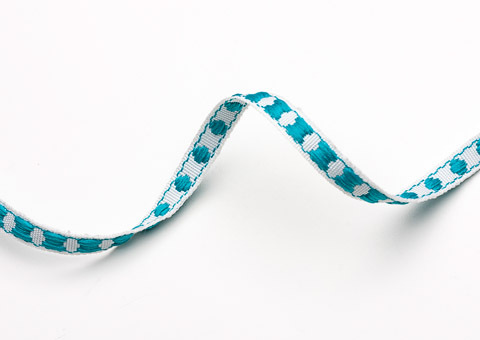 This Polyester Tape comes in a 25mm width. 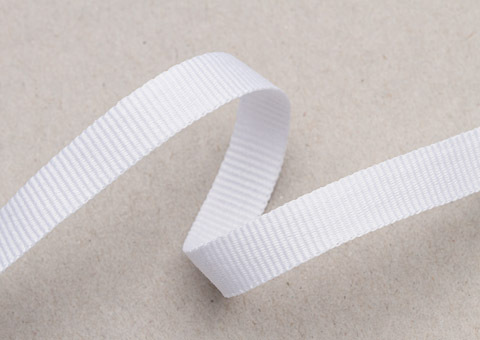 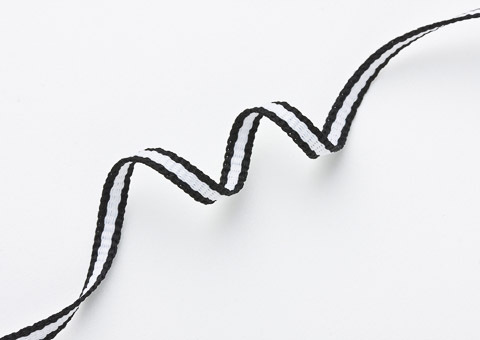 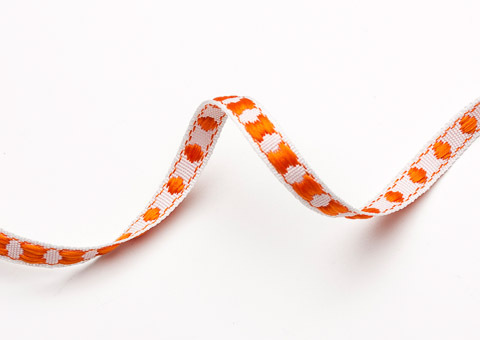 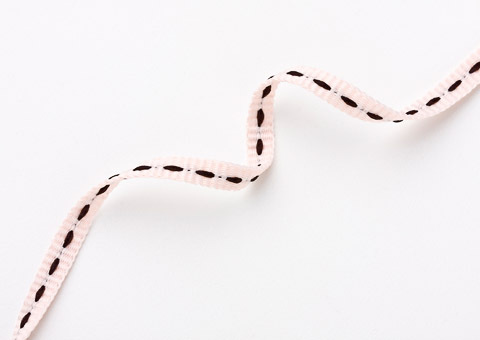 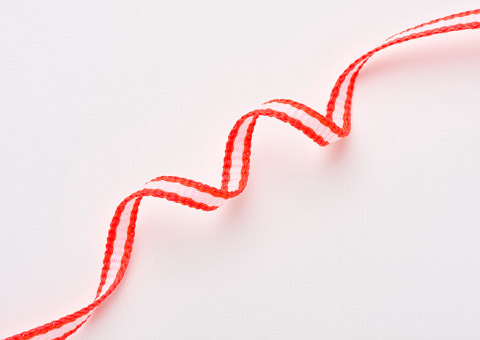 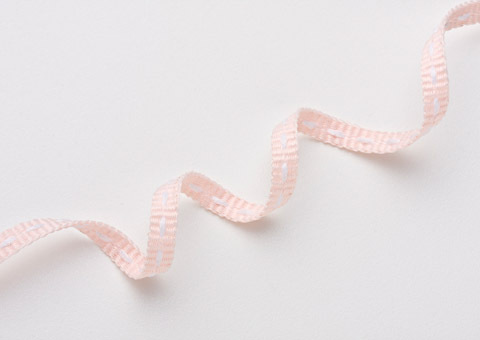 These Tapes are made from White Polyester with a Coloured Polyester chevron insert. 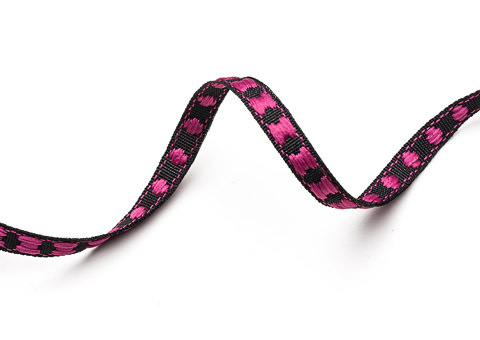 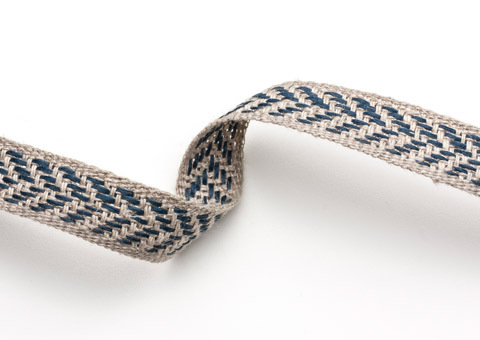 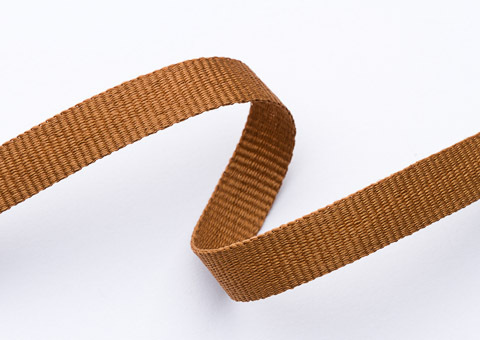 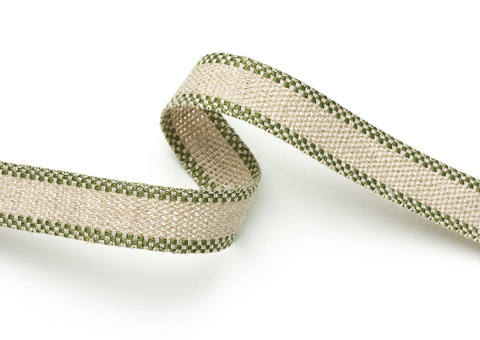 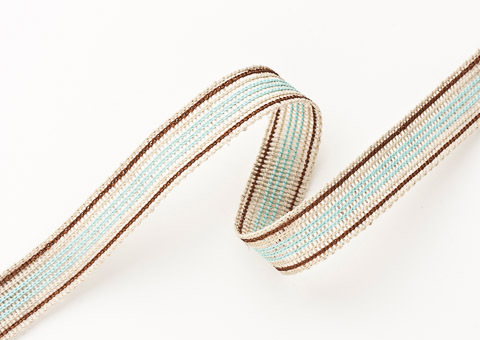 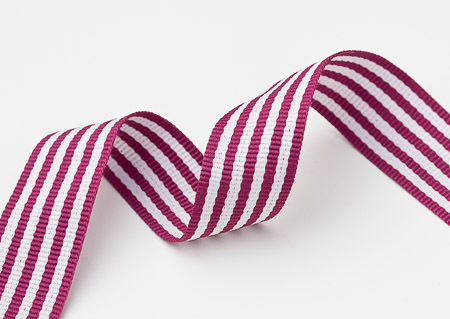 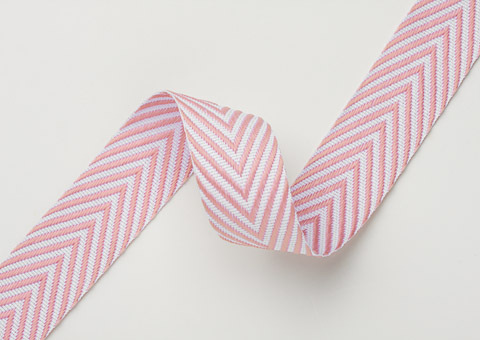 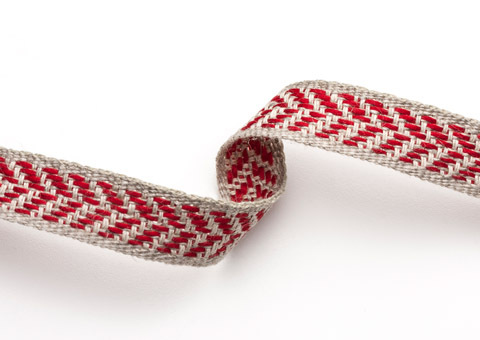 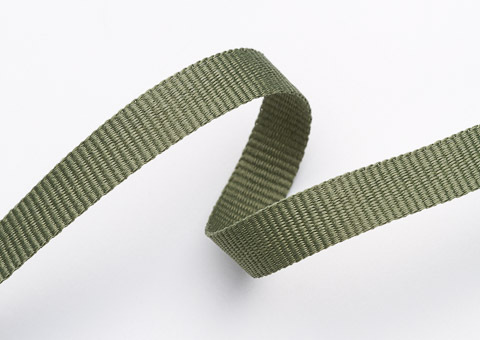 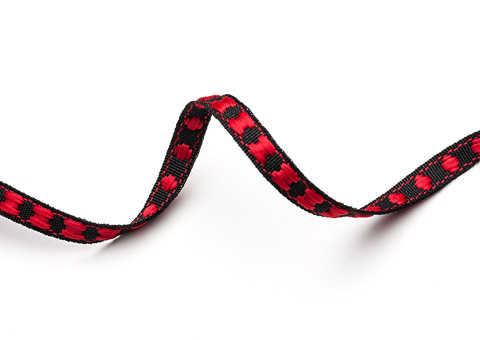 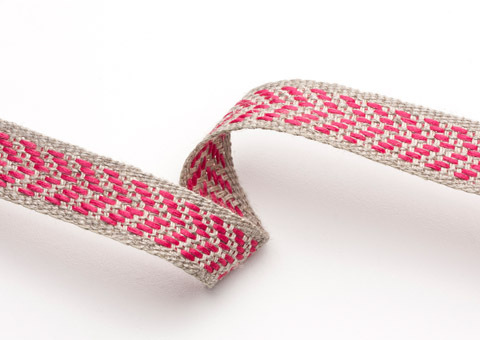 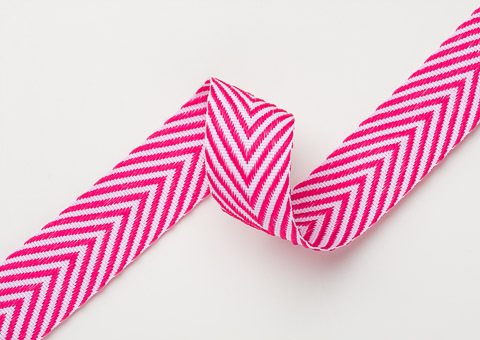 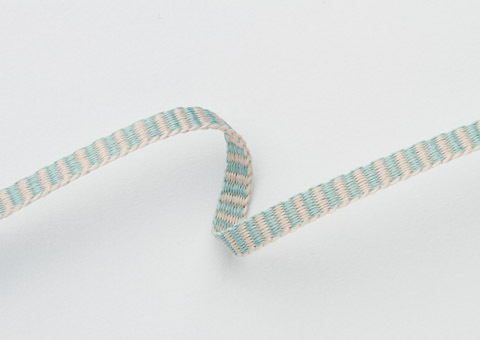 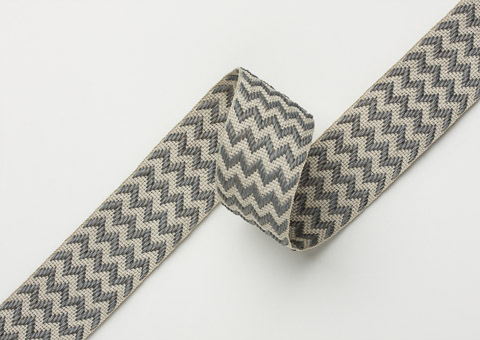 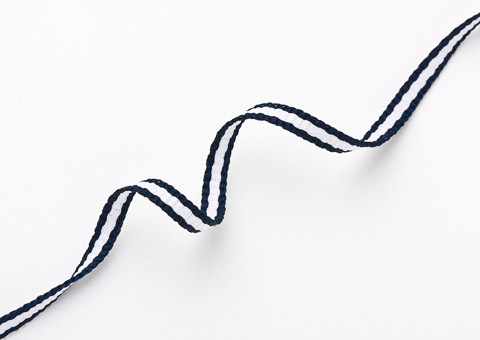 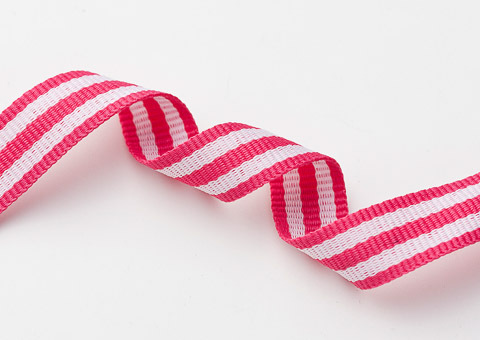 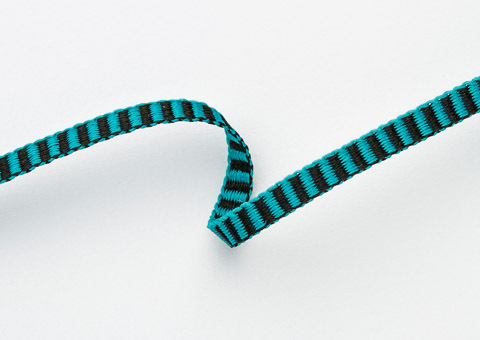 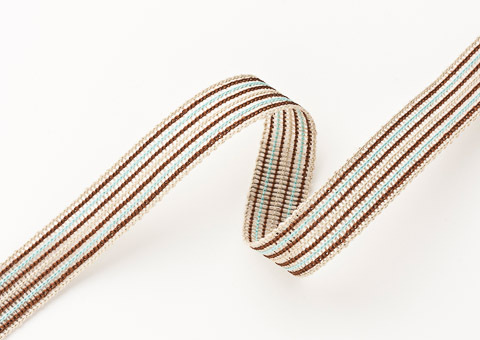 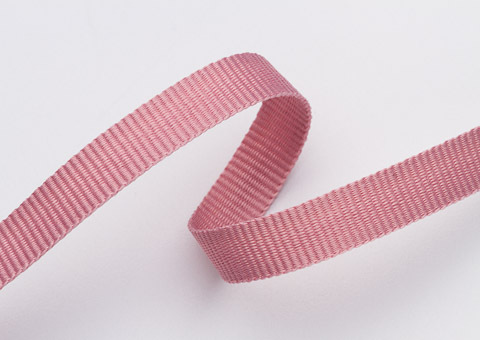 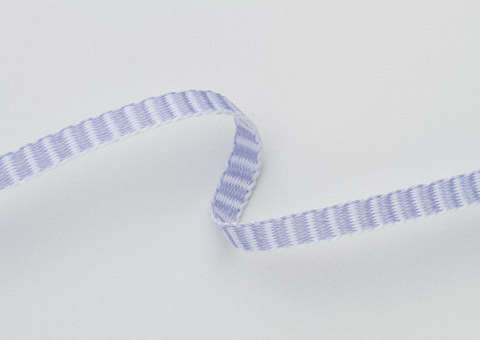 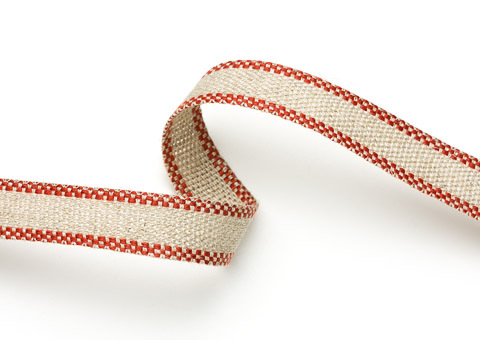 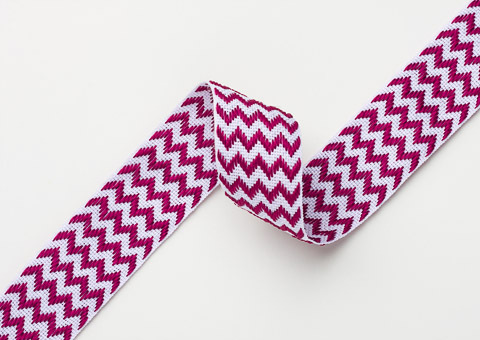 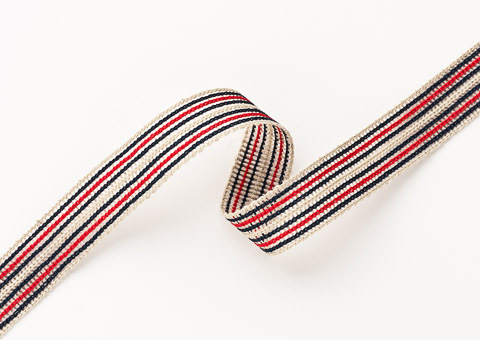 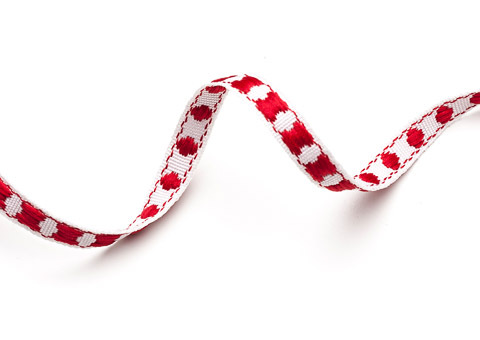 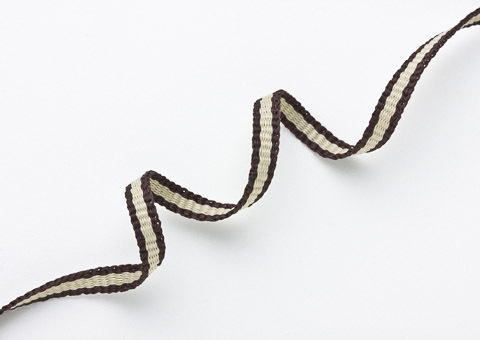 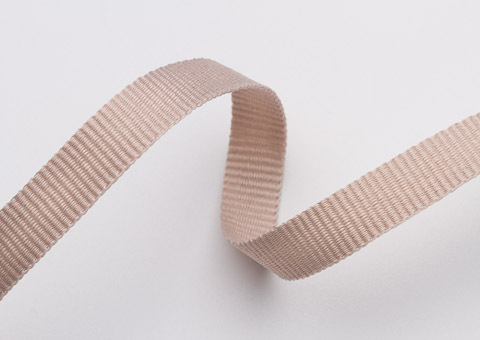 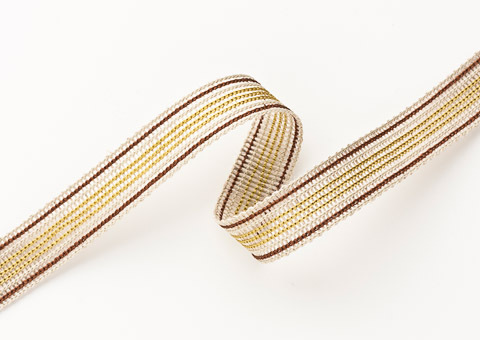 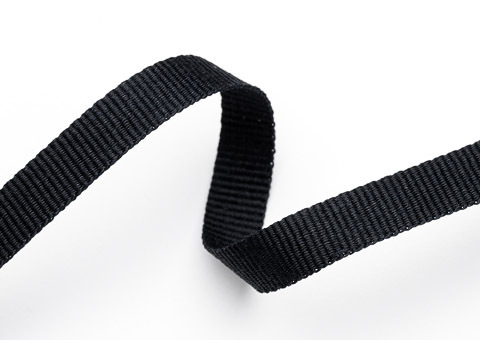 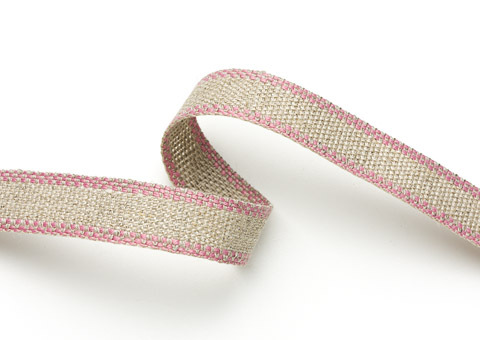 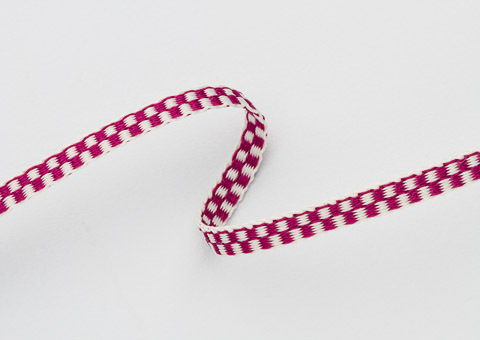 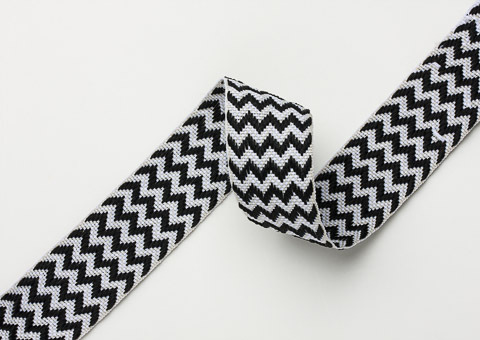 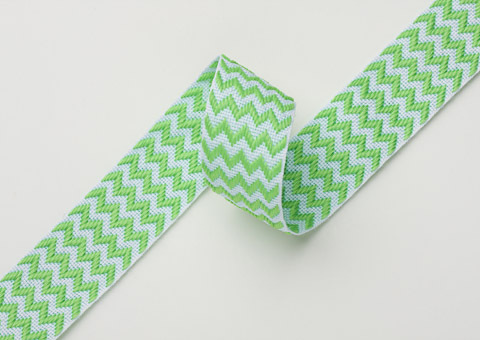 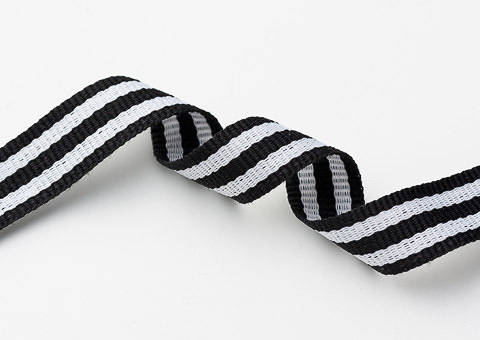 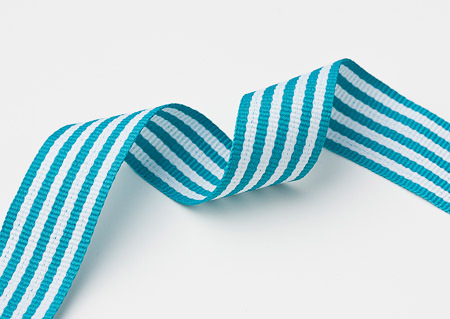 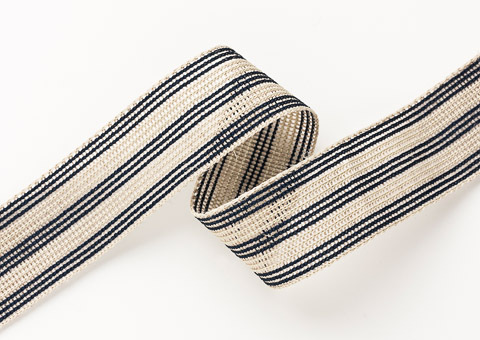 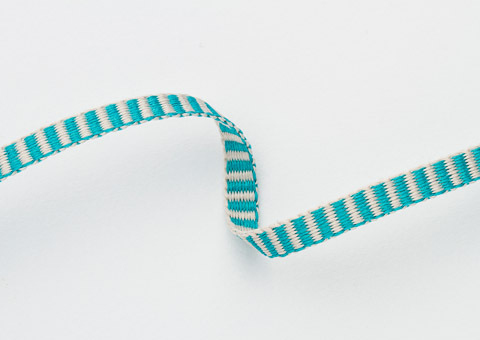 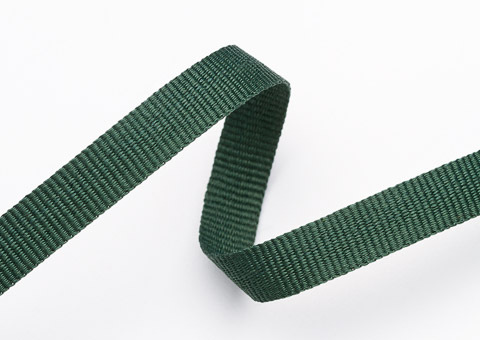 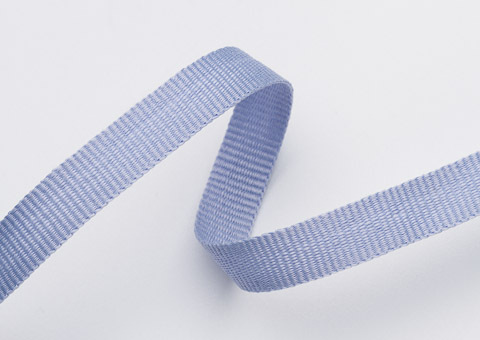 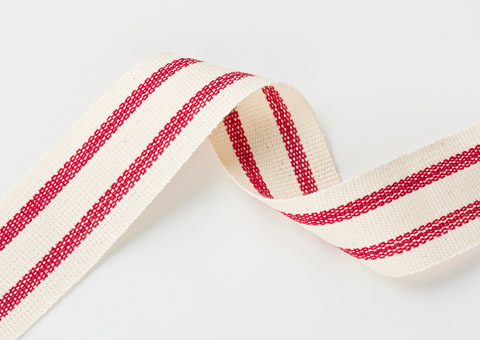 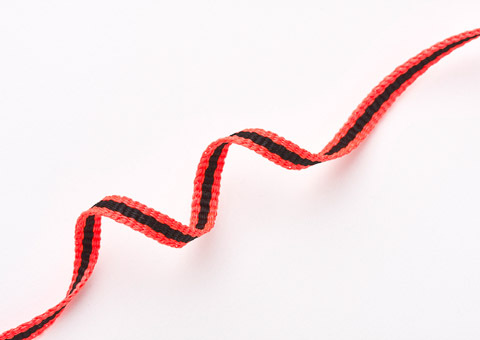 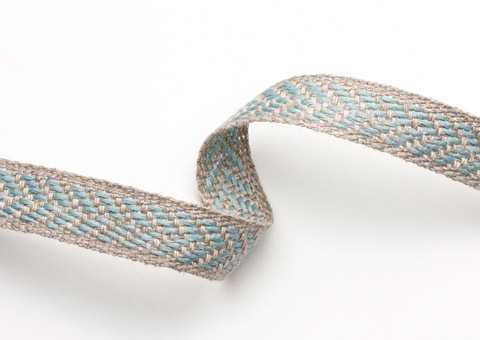 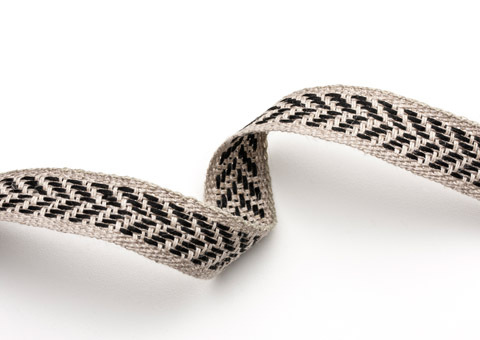 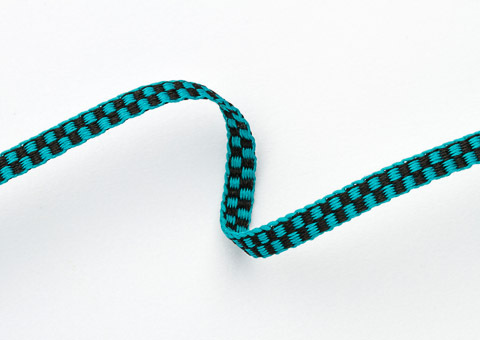 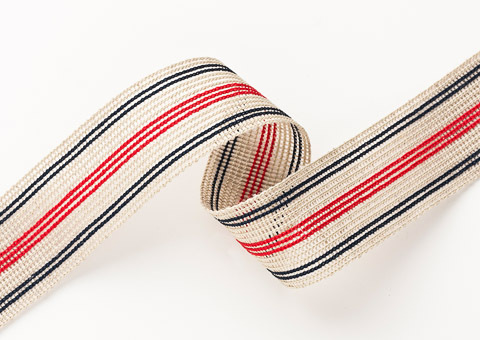 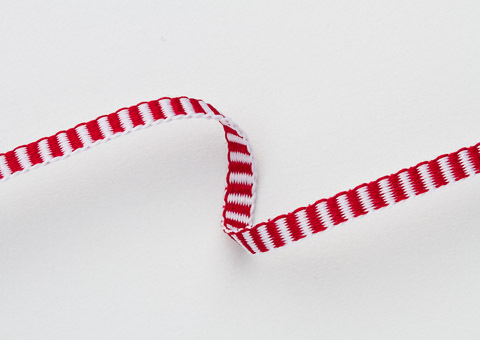 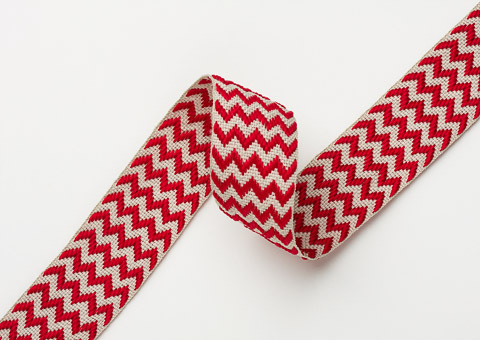 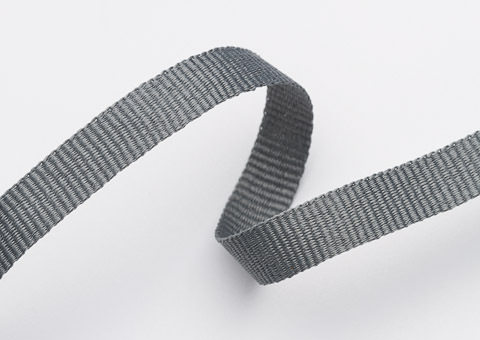 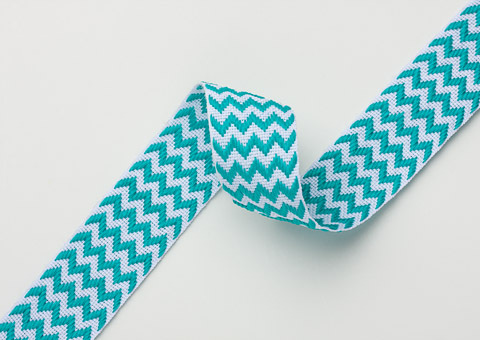 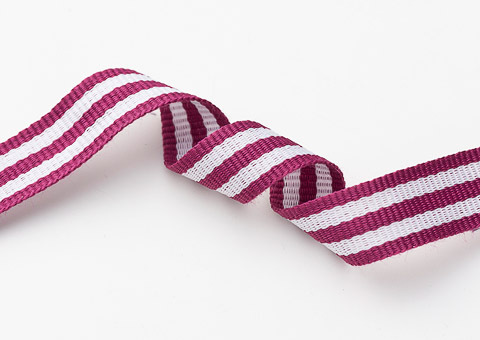 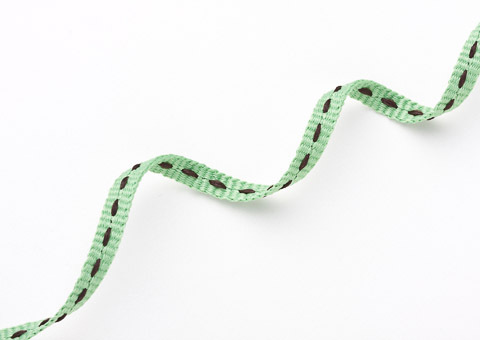 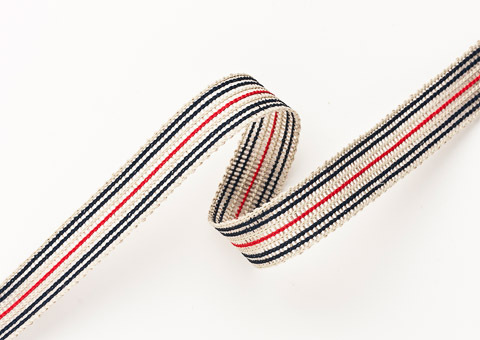 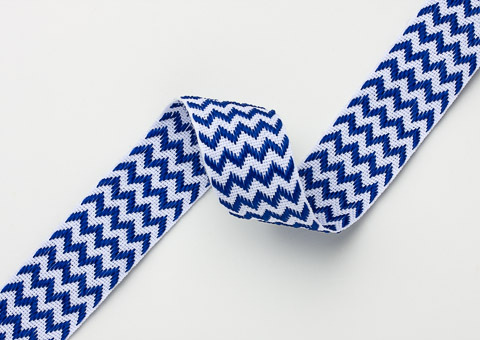 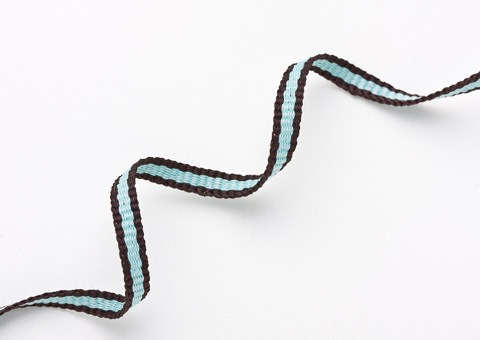 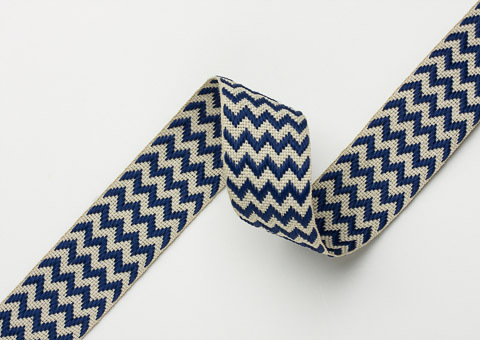 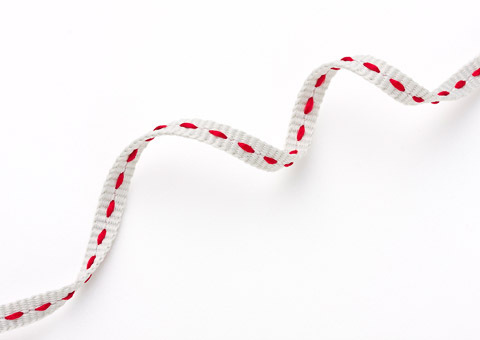 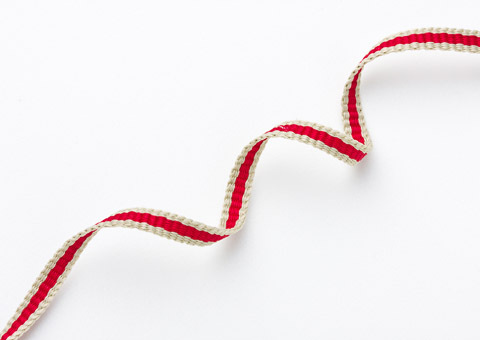 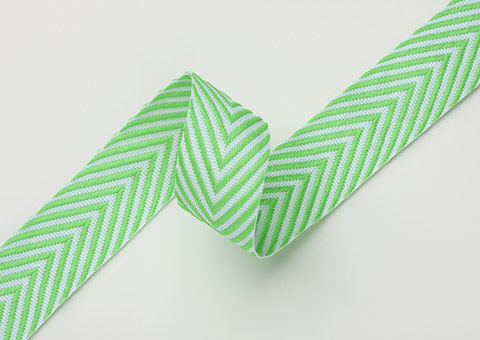 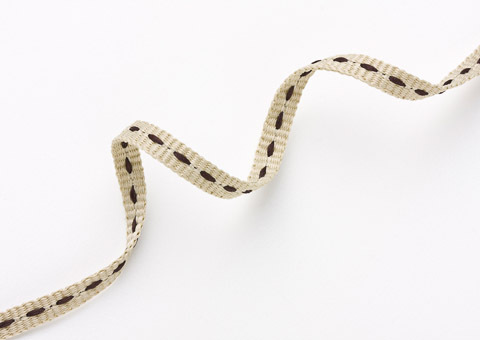 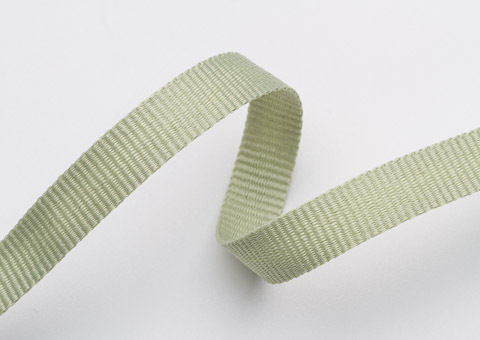 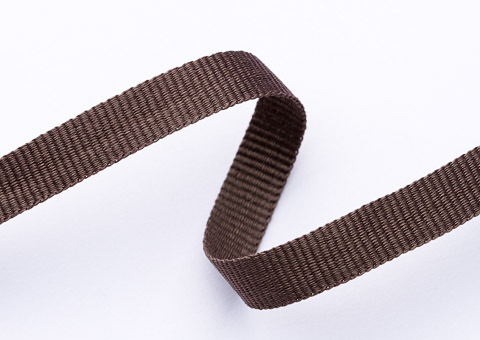 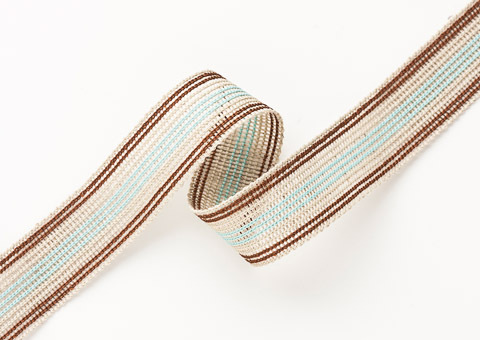 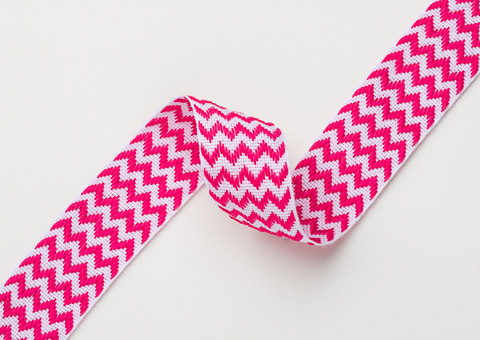 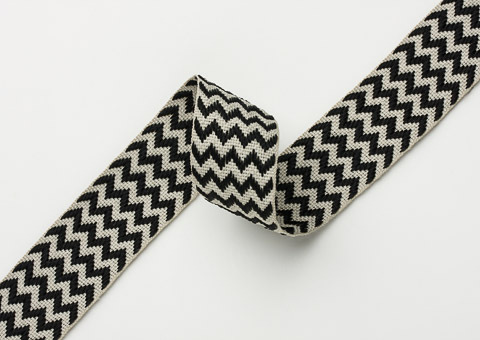 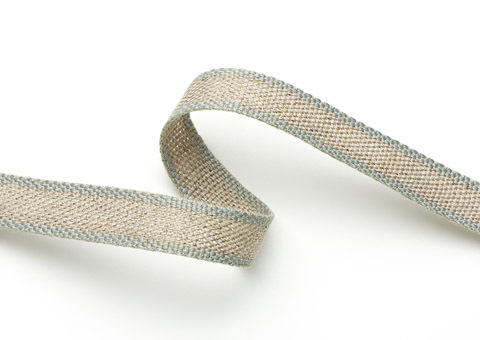 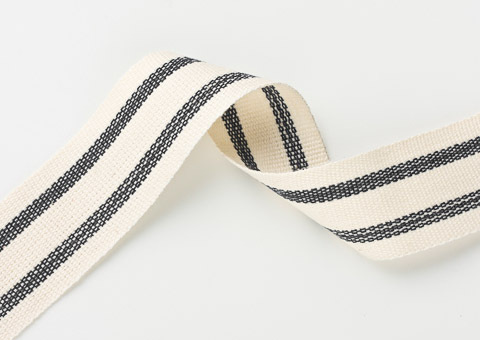 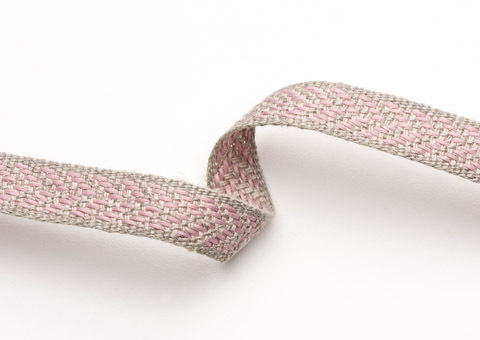 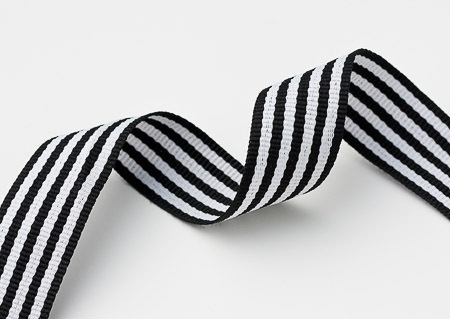 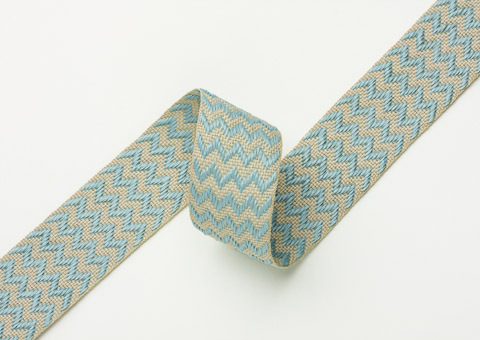 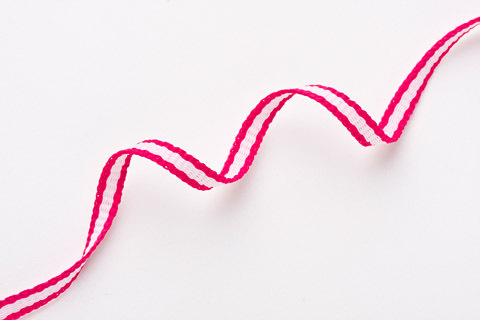 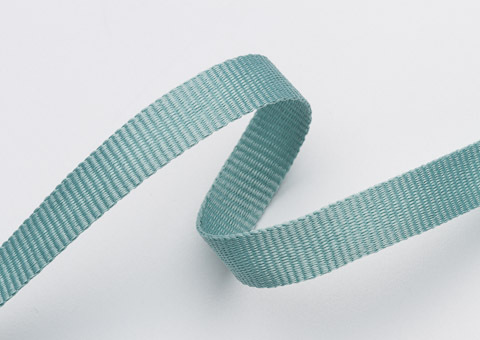 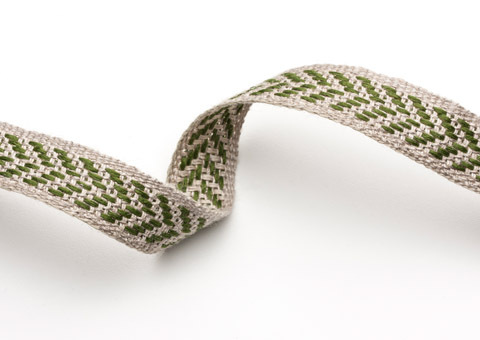 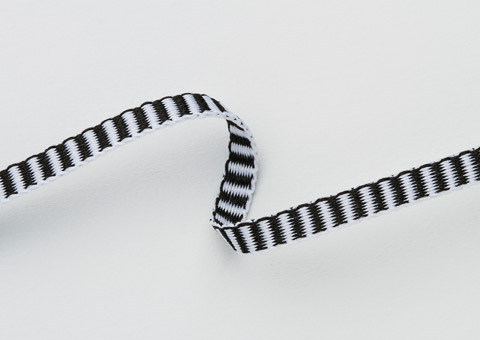 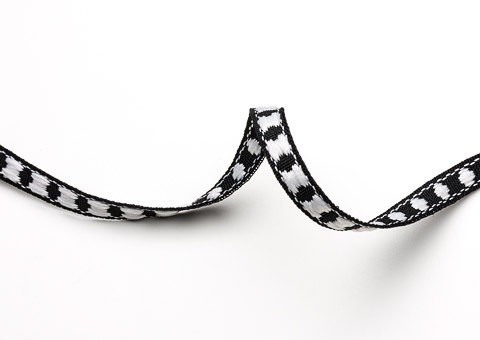 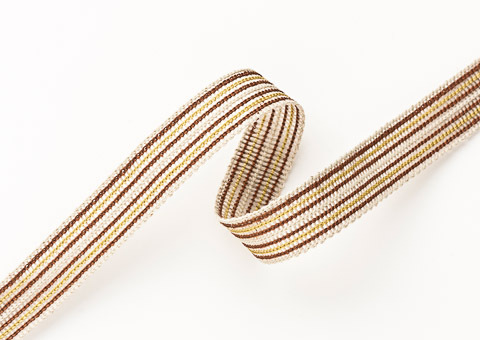 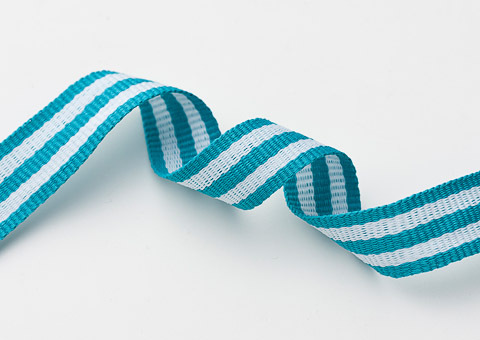 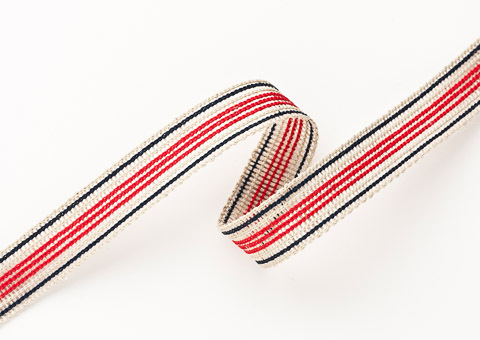 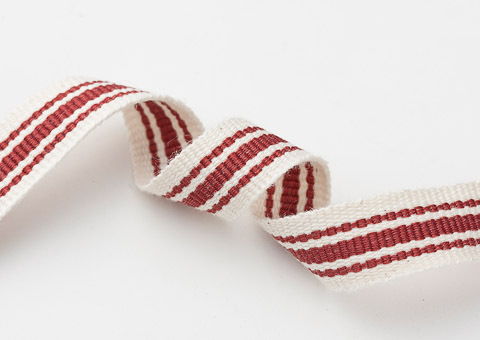 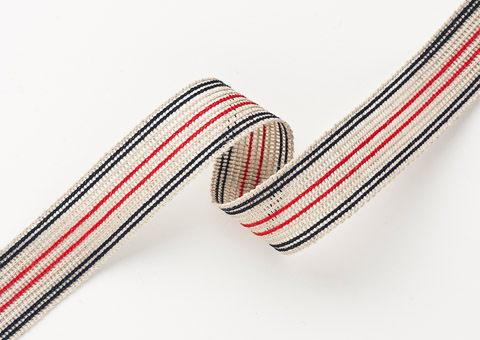 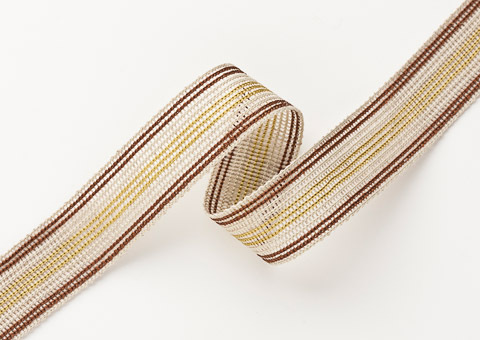 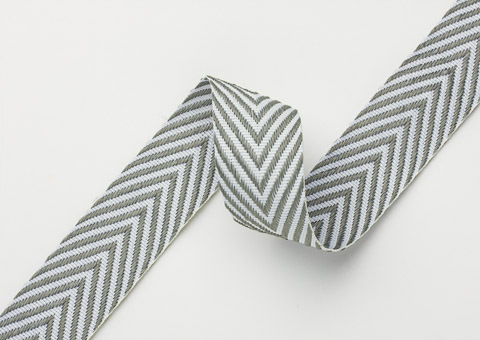 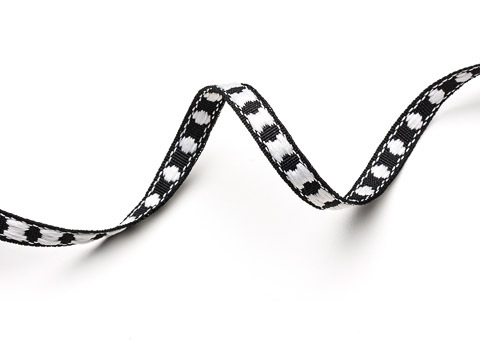 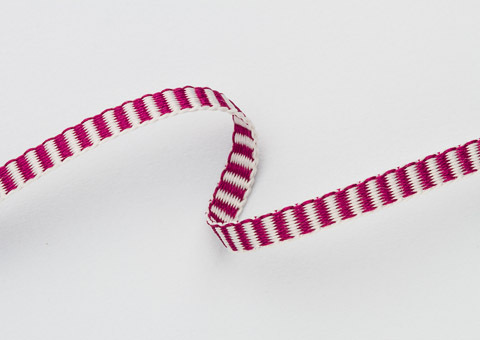 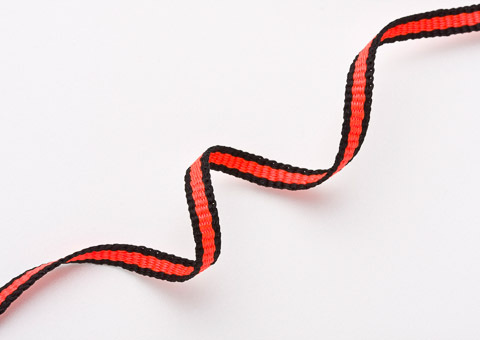 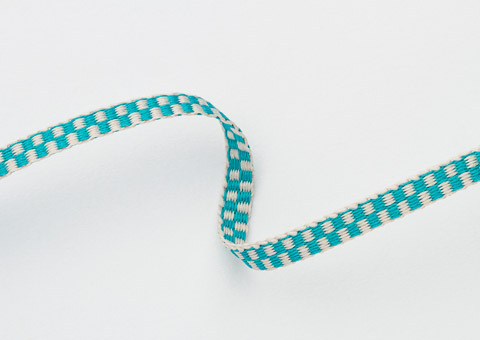 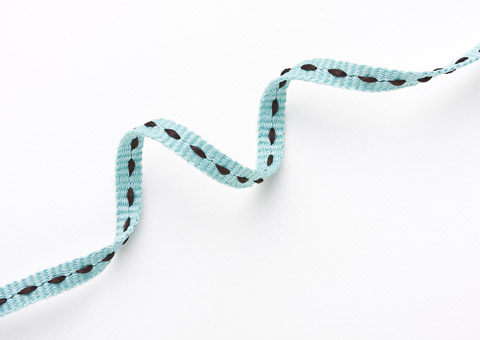 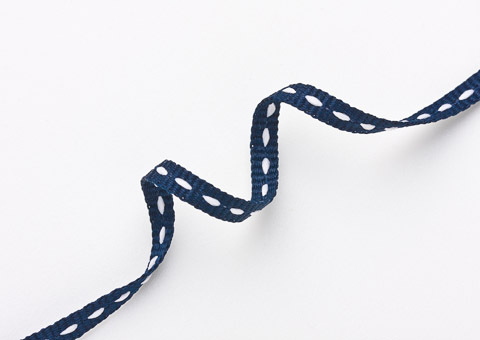 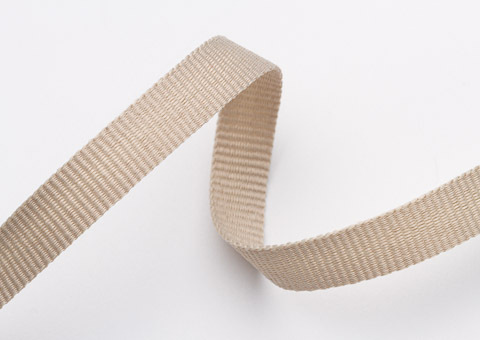 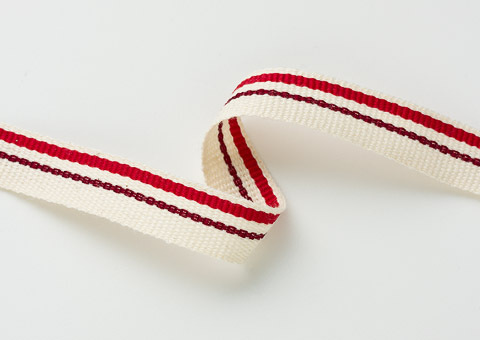 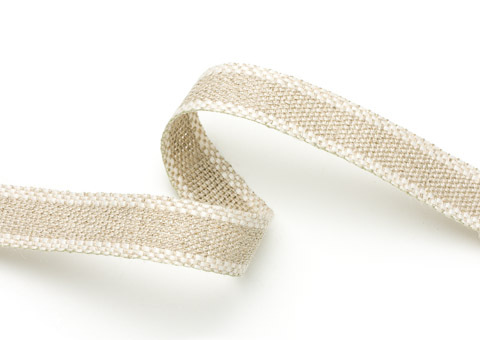 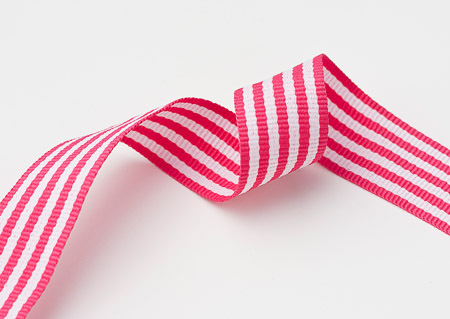 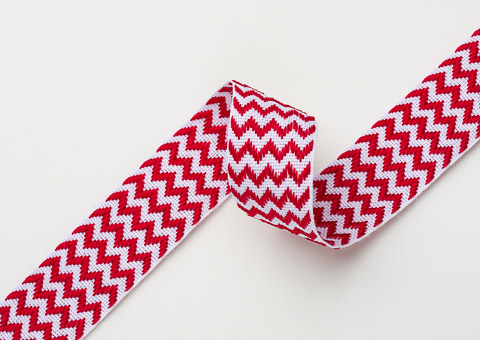 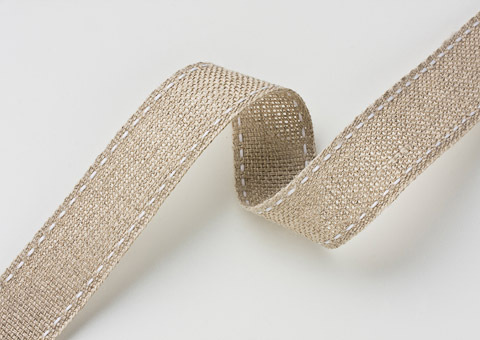 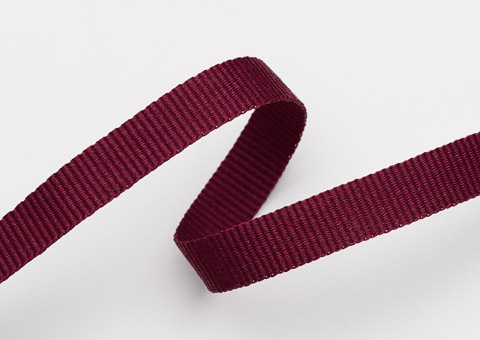 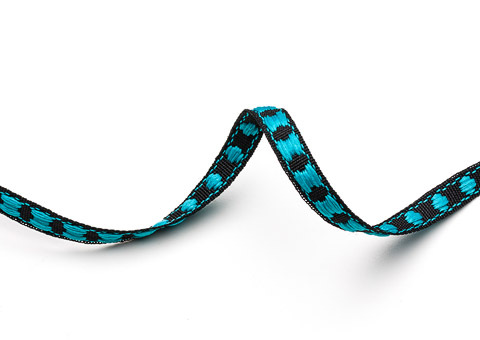 This 25mm Tape is made from either Linen or Polyester back and comes with a Polyester Zigzag Chevron insert. 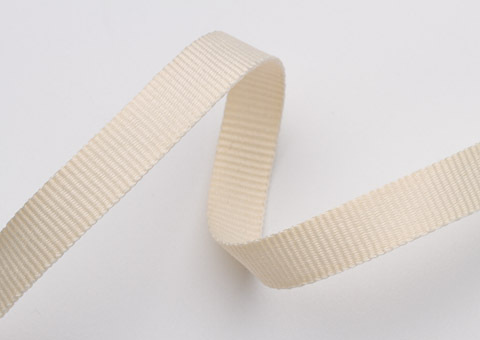 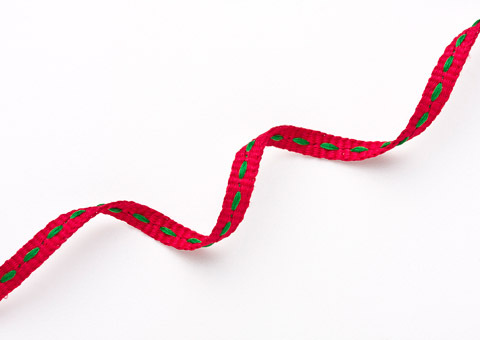 This Tape is made from Polyester and is available in 4, 10 and 15mm widths.